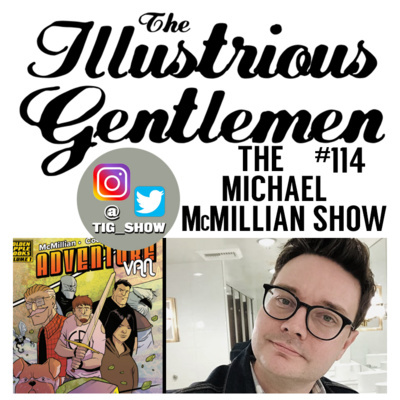 TIG 114 - The Michael McMillian Show! We're interested in hearing what you want us to discuss, shoot over your suggestions or questions to tigshowpod@gmail.com! Ep. 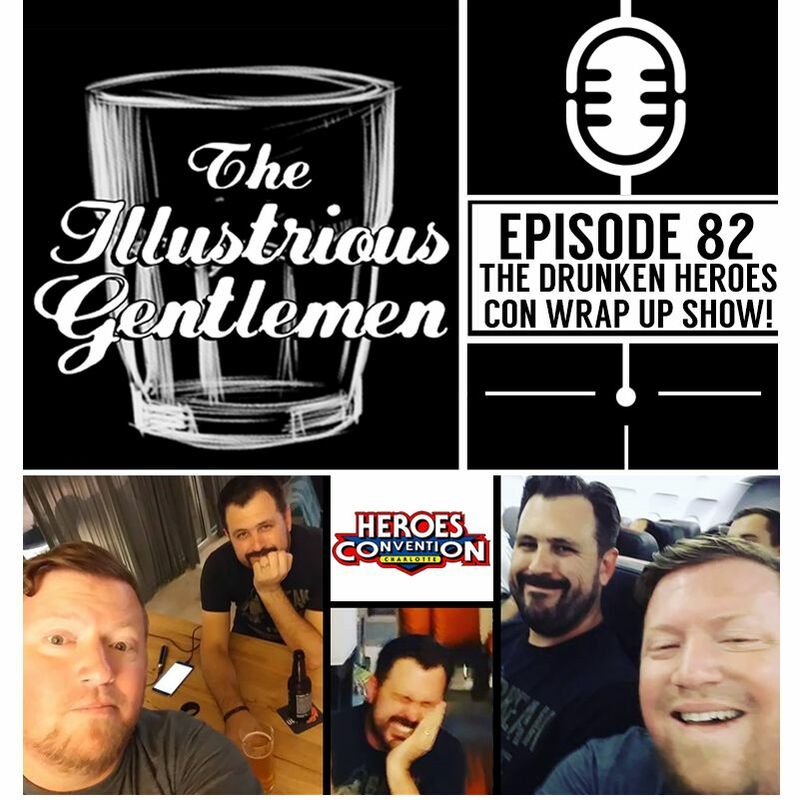 82 - The Drunken Heroes Con Wrap Up Show! 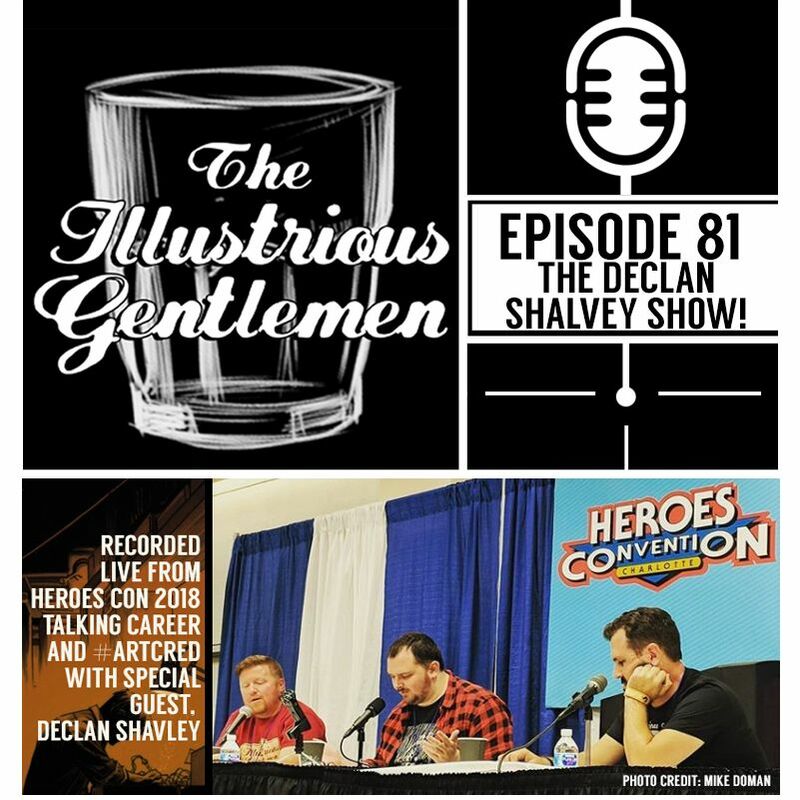 Ep81 - The Declan Shalvey Show! 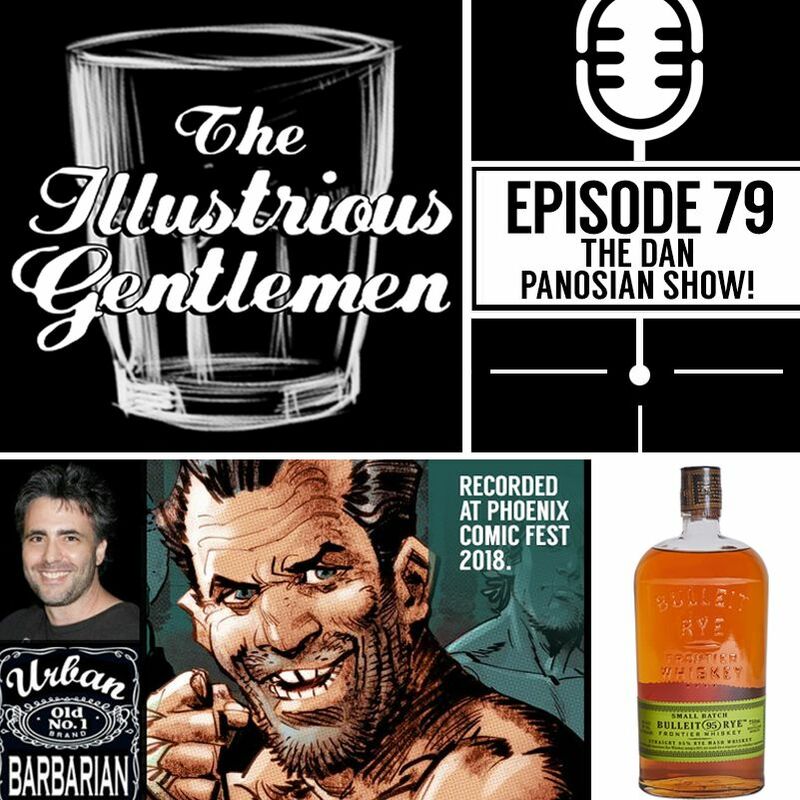 EP.79 - The Dan Panosian Show! Ep. 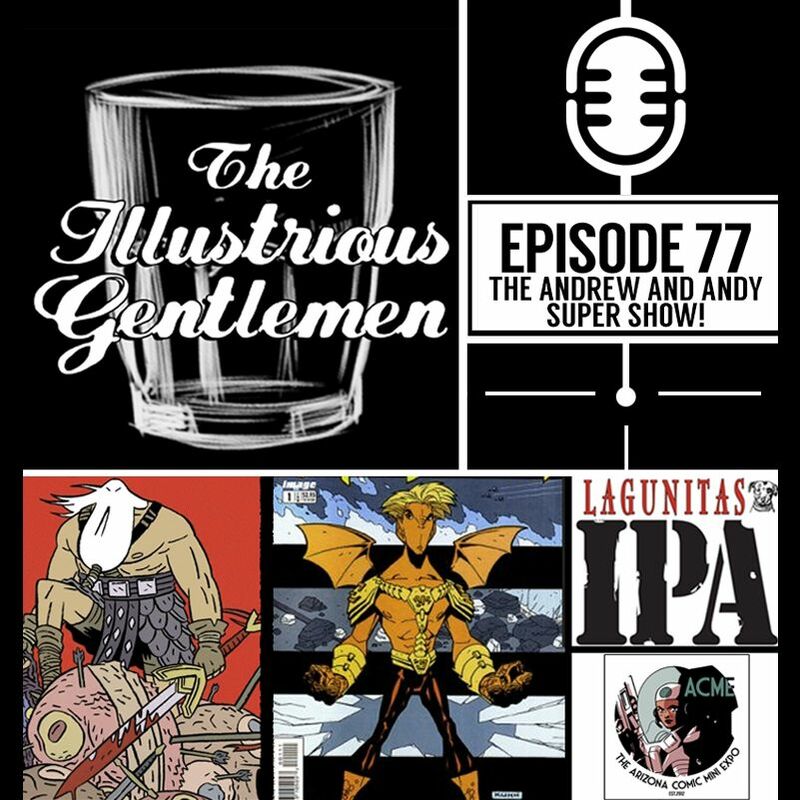 77 - The Andrew and Andy Super Show! 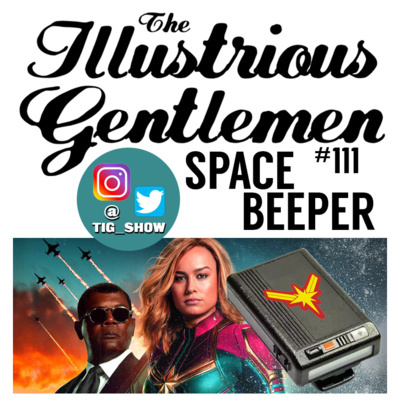 The guys talk Infinity War! Shocker, they both didn't hate it! 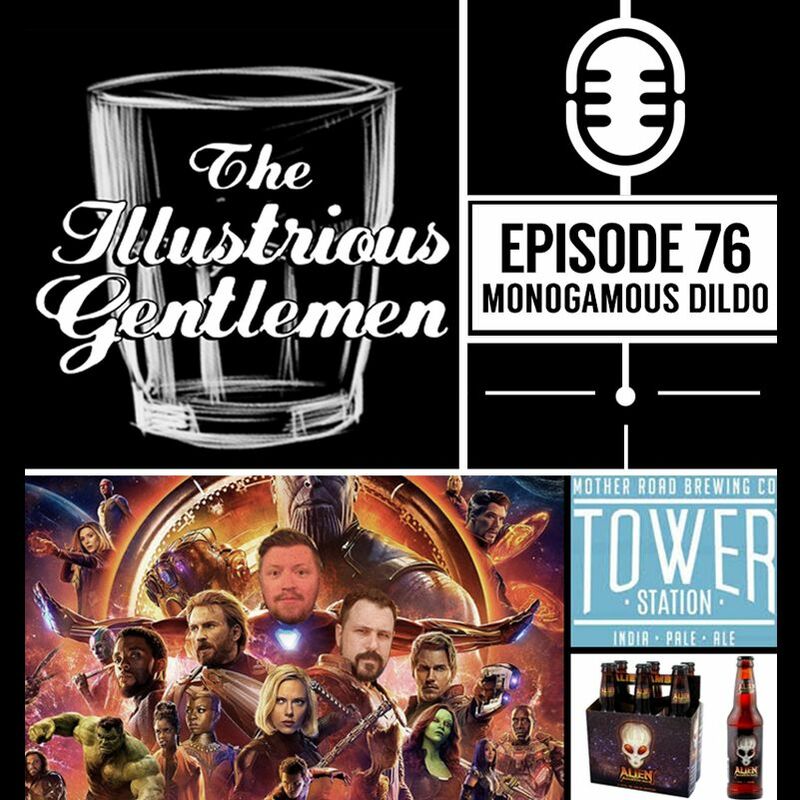 Scott wants to marry bearded Russian Mickey Rourke and Ryan dreams about a bearded Captain America! 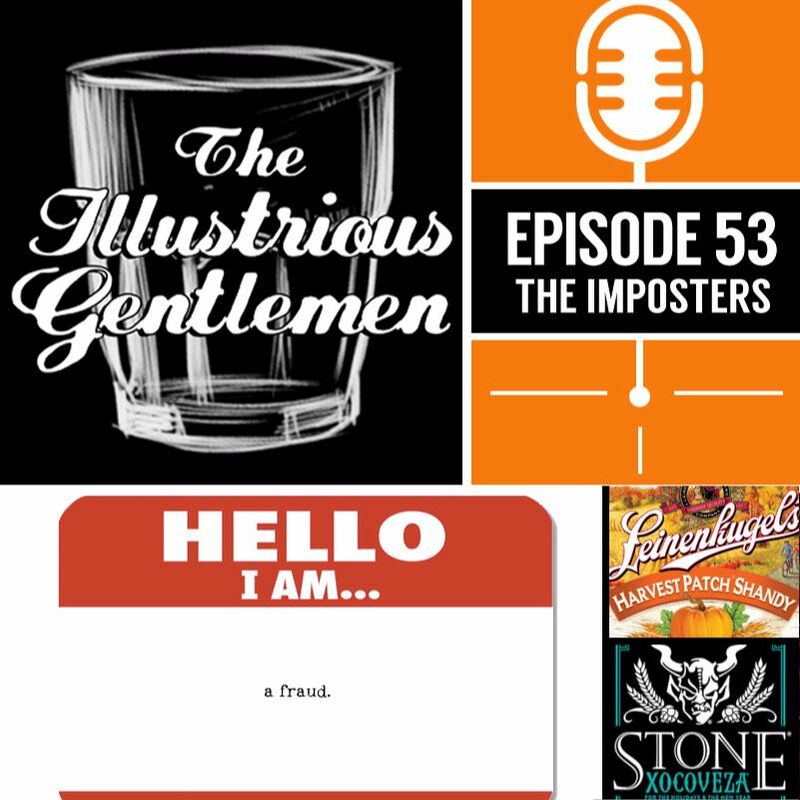 This episode is sponsored by the Spoiler Country podcast and the upcoming Nothing Can Stop Me Now Vol.2 graphic novel. Our intro music is by Grey Watson/The Killer Drones and our outro music is by The Moans! As always our introduction is by Gary Fitzgerald. 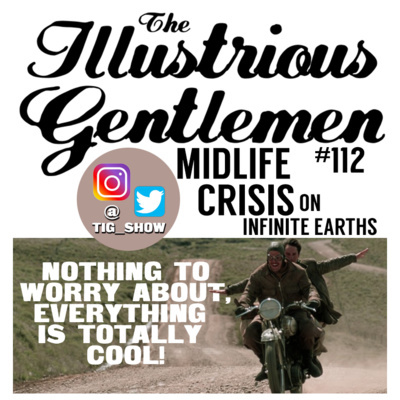 Follow the show on twitter and instagram at @tig_show and support the show at www.tigshow.com Thanks to Drew Moss for this episode's title! 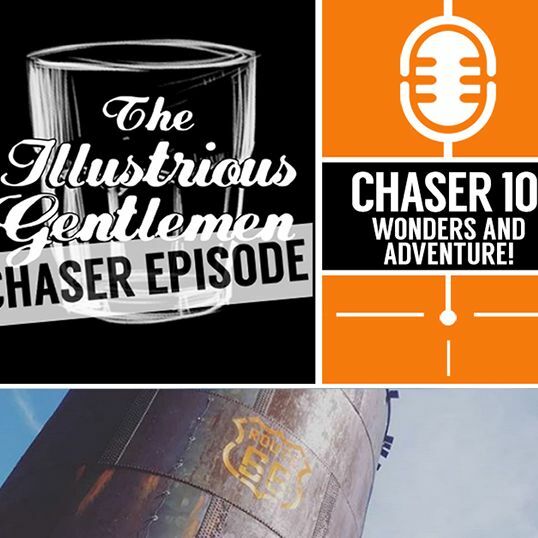 Chaser #10 - Wonders and Adventure! 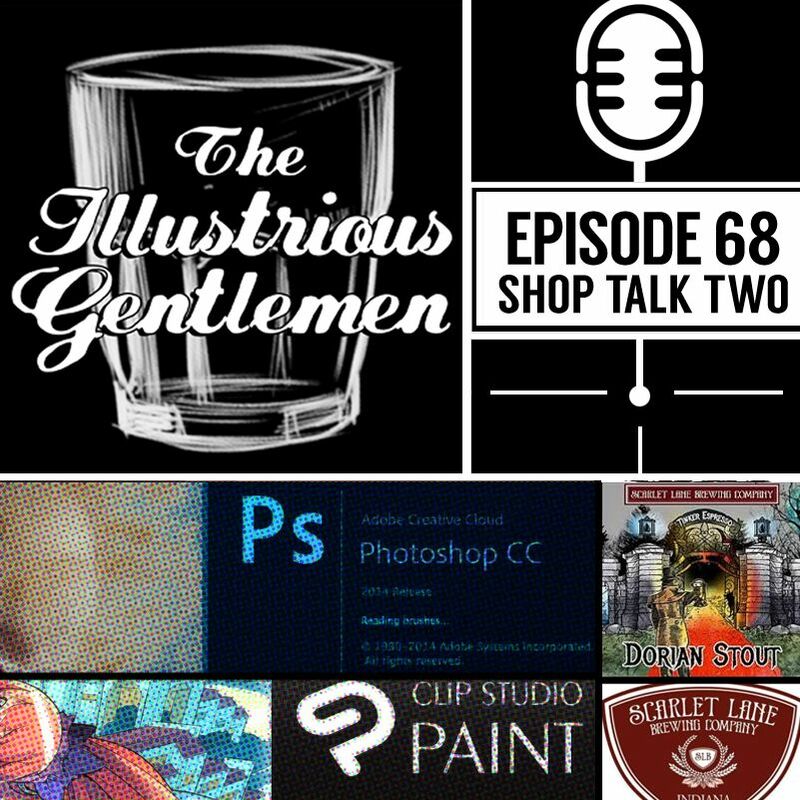 Episode # 68 - Shop Talk Two! 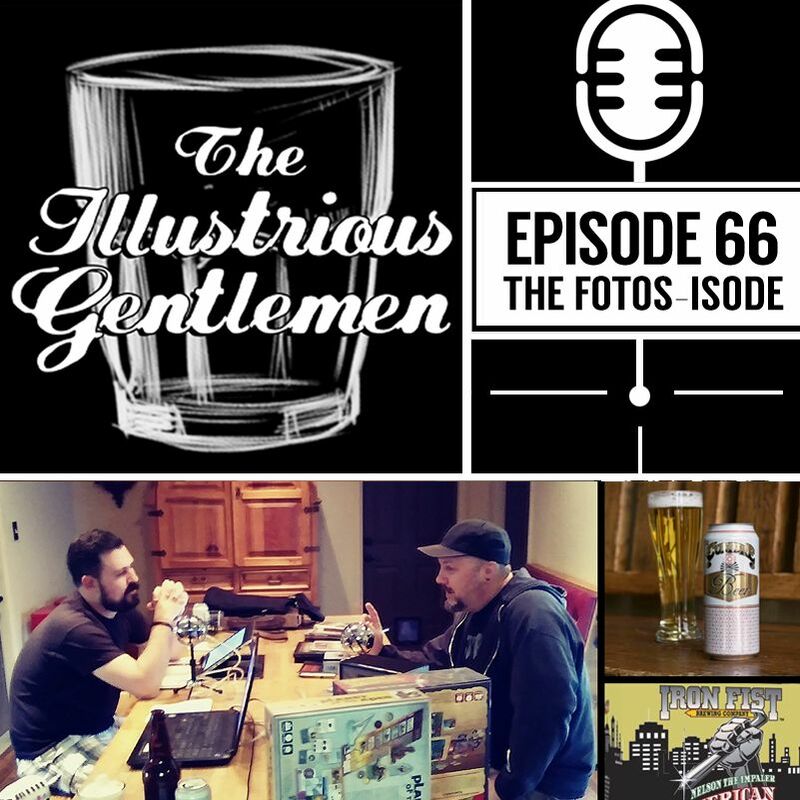 Episode #66 - The Fotos-isode! A brief public service announcement from one half of the nearly dynamic duo. 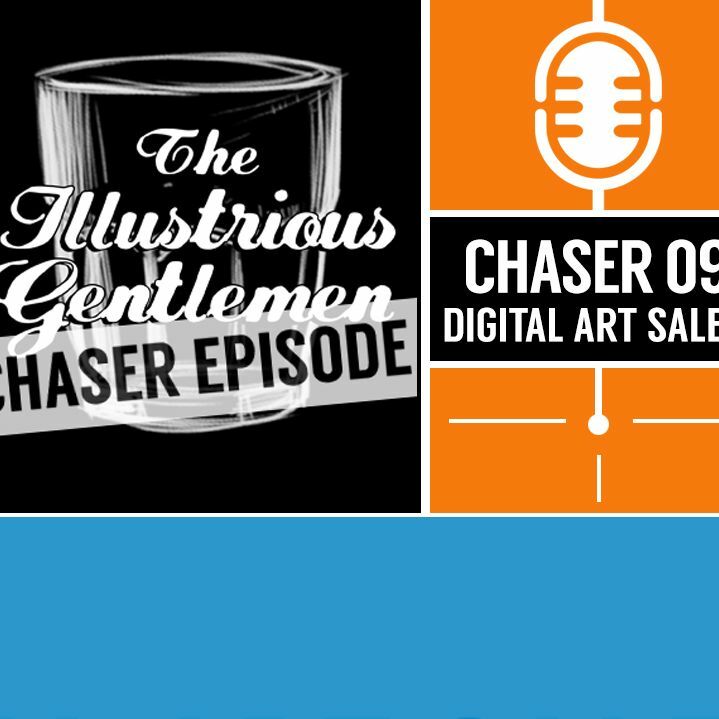 A short and sweet bonus Chaser about digital art sales! This mini-sode features an introduction by Gary Fitzgerald and music by Kevin Macleod. This week Scott talks about his thought process when it comes down to breaking down and laying out a Batman panel. It's a very good look into how he thinks and works and is even better because it barely features Ryan at all. Win win! This mini-sode features an introduction by Gary Fitzgerald and music by Kevin Macleod. 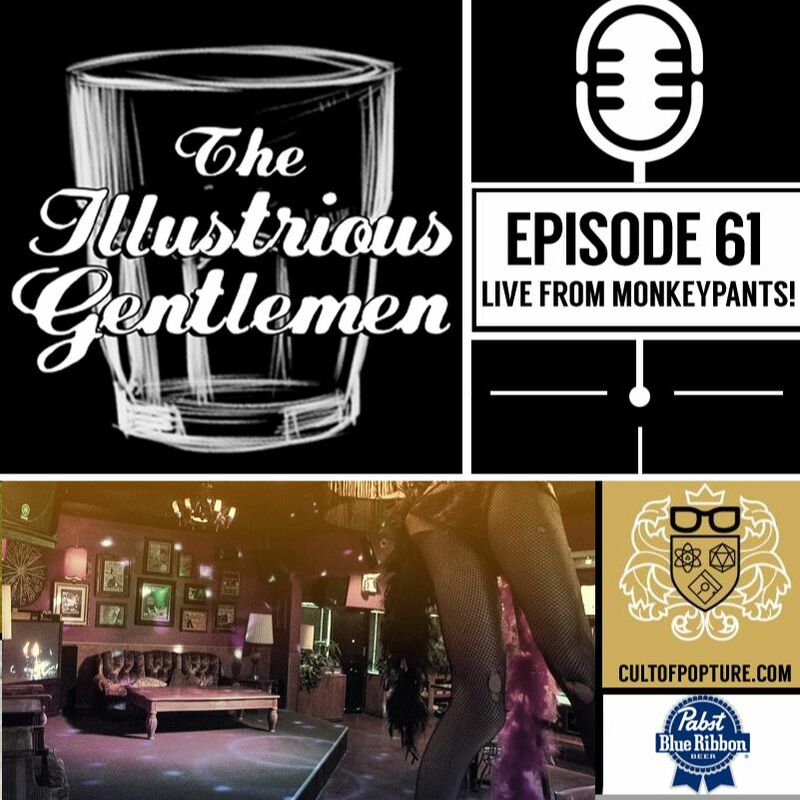 Episode #61 - Live From Monkeypants! 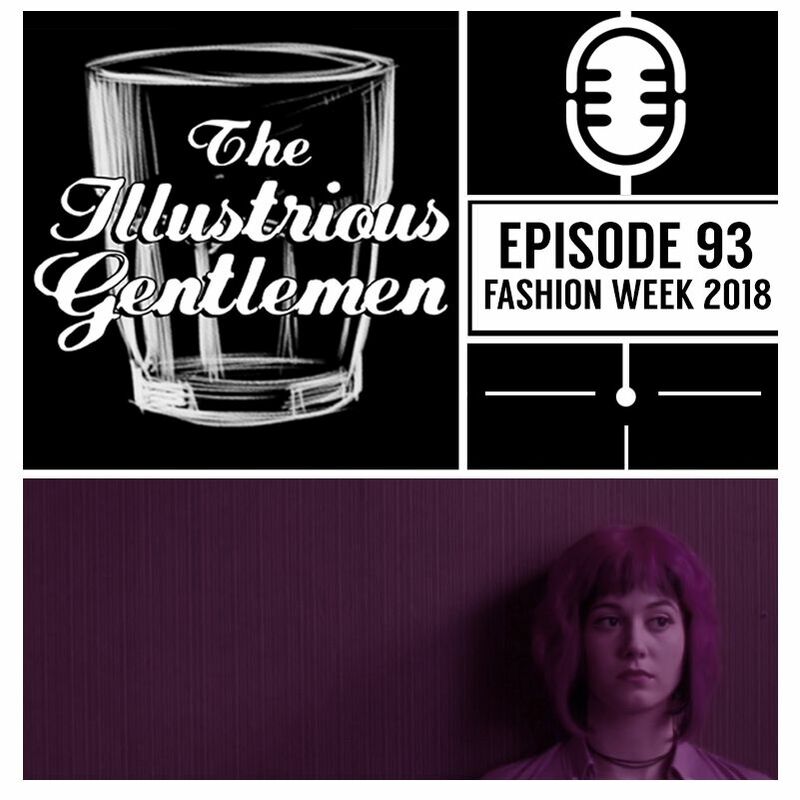 This one is a bit of a bummer, the guys tackle the recent news about sexual harassment and sexual abuse and we offer our opinion on whether or not we can separate the art from the artist. As always, introduction by Gary Fitzgerald, intro music by The Bomb Busters (Good to be Alone) & outro music by Kevin MacLeod(Dirt Rhodes). 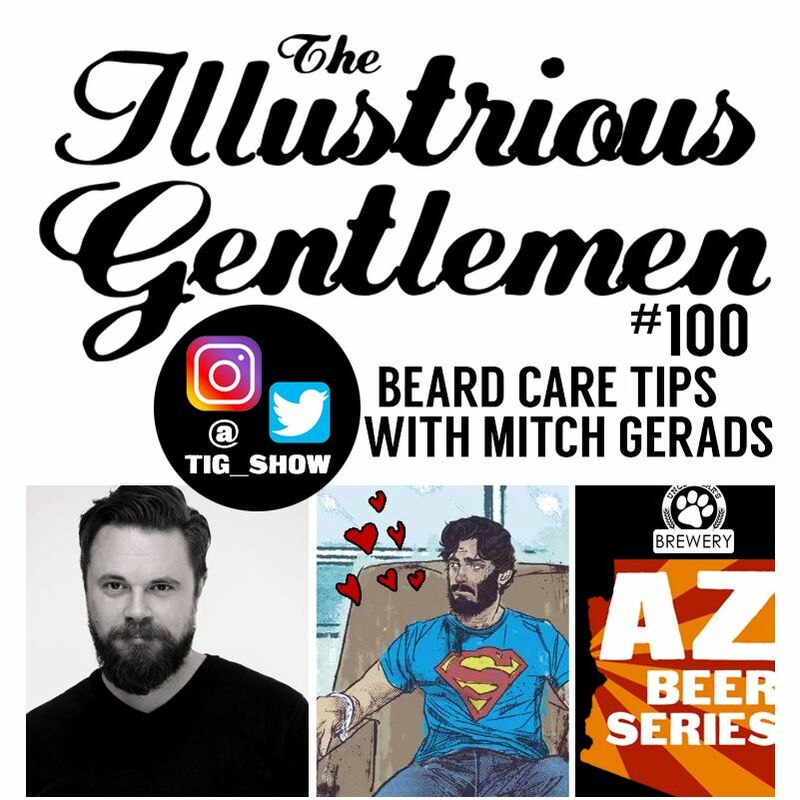 Follow the show on twitter at @tig_show . Whoo boy! 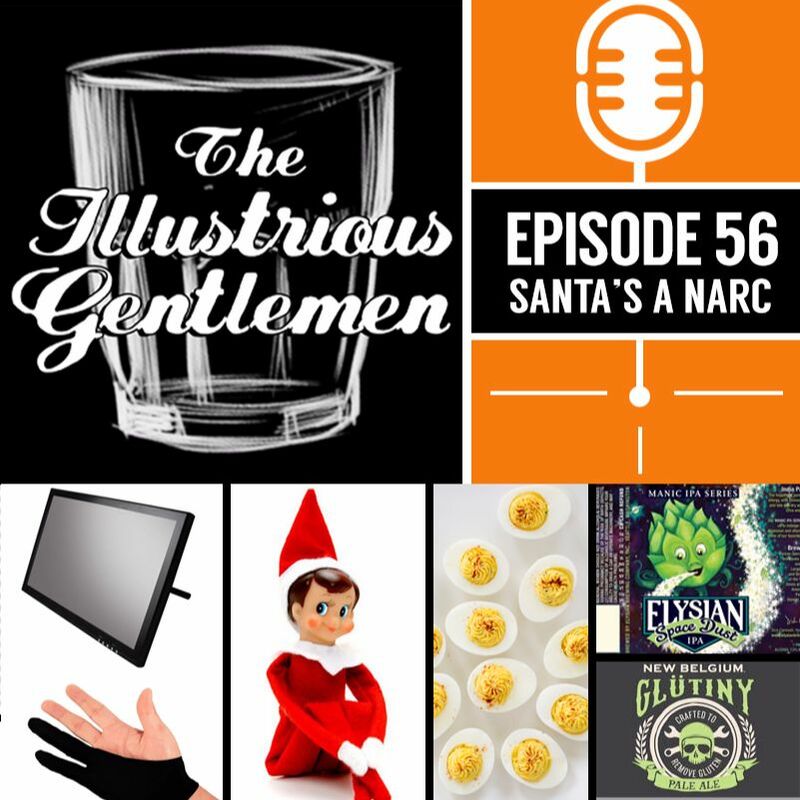 This episode runs the gamut including a Thanksgiving recap mostly about dogs, how the holidays are the worst time of the year, Ryan's glove love, elderly female Twitter fans & the why Elf on the Shelf is such a prick. 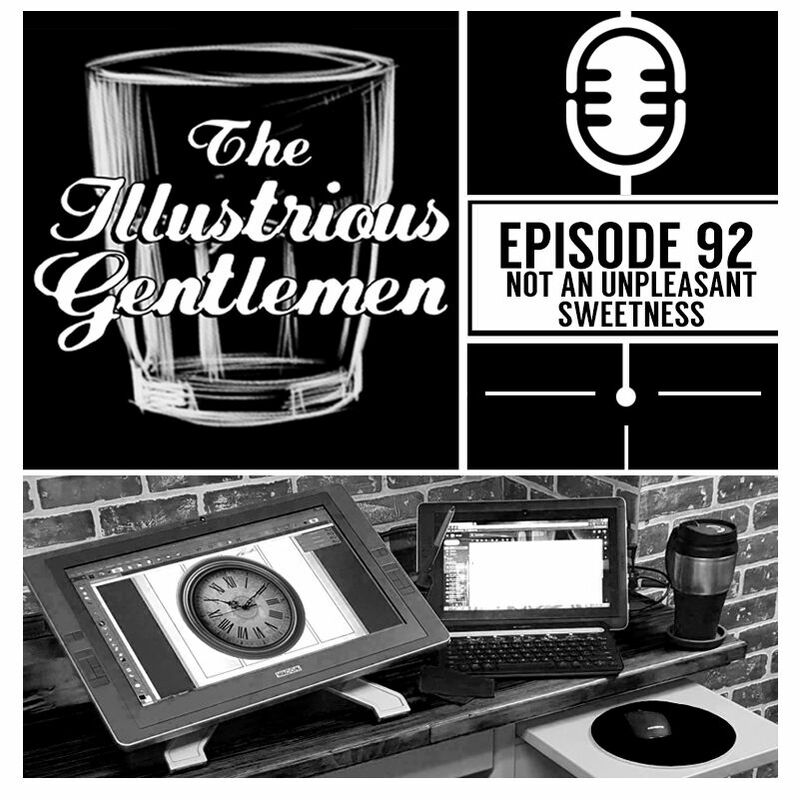 Oh, the guys also talk about Ryan's new foray into working digitally. 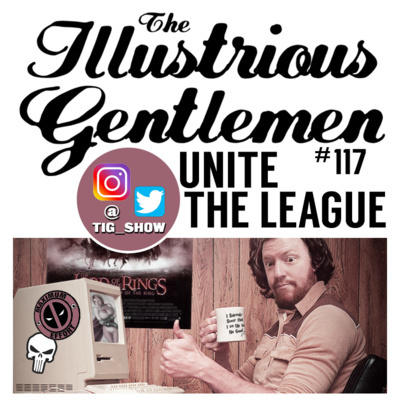 Support the show at https://www.patreon.com/tigshow. As always, introduction by Gary Fitzgerald, intro music by The Bomb Busters (Good to be Alone) & outro music by Kevin MacLeod(Dirt Rhodes). 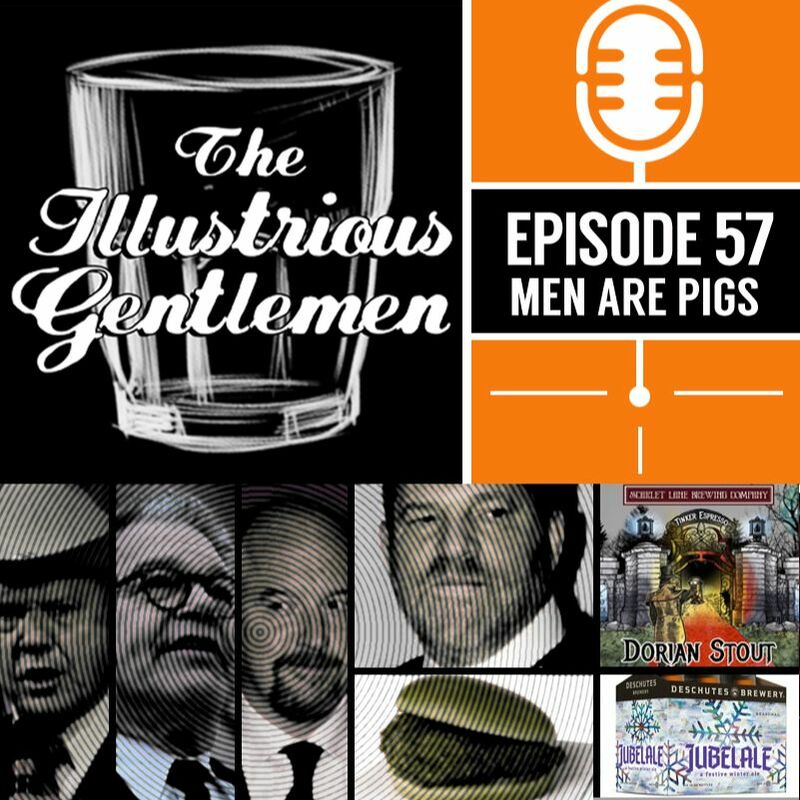 Follow the show on twitter at @tig_show . Be sure to tell your friends how much you love us, our fragile egos thank you. 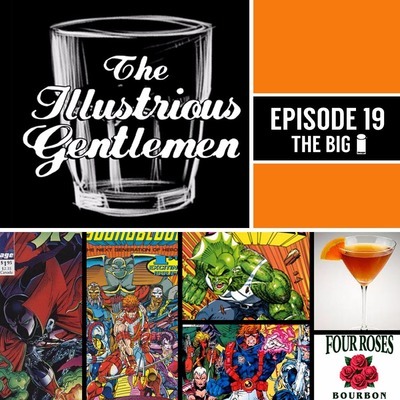 This week Scott and Ryan talk about what we're thankful for and we break down some business aspects of comics, from page rates, happiness, work schedule and much more. This is a great episode for those looking to get into the business as well other creators. Visit http://sktchd.com/longform/whats-the-life-of-a-comic-artist-like/ to follow along with our discussion. As always, introduction by Gary Fitzgerald, intro music by The Bomb Busters (Good to be Alone) & outro music by Kevin MacLeod(Dirt Rhodes). 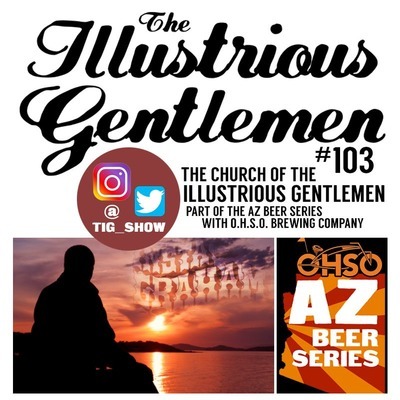 Follow the show on twitter at @tig_show . 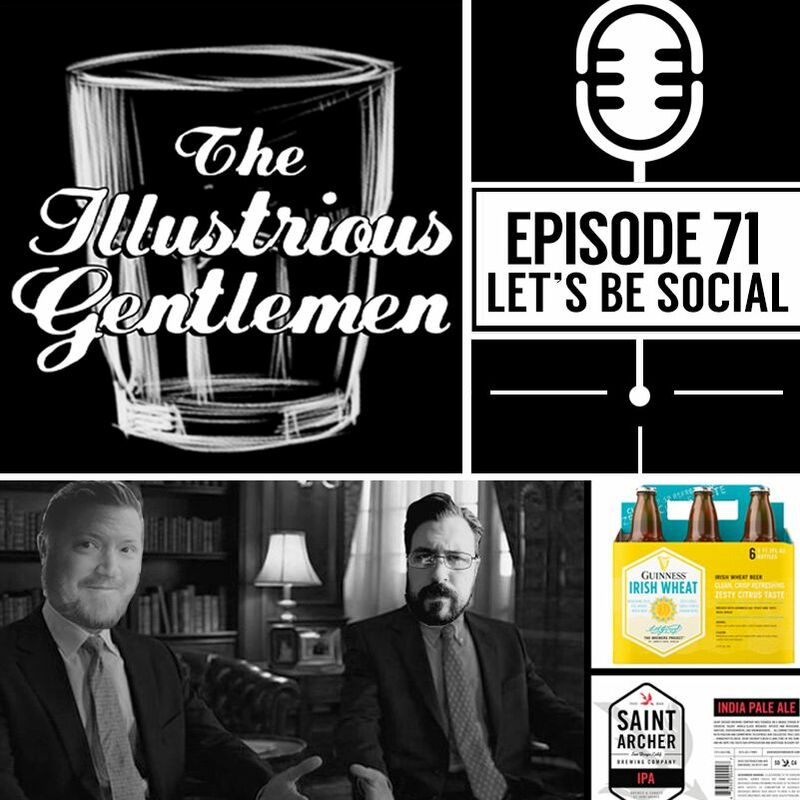 In this short episode the guys talk about getting free beer from Scarlet Lane Brewing, Patreon, & our very first collaboration. We hope you enjoy it in spite of the echo coming off of Scott's microphone. This mini-sode features a new introduction by Gary Fitzgerald and music by Kevin Macleod. 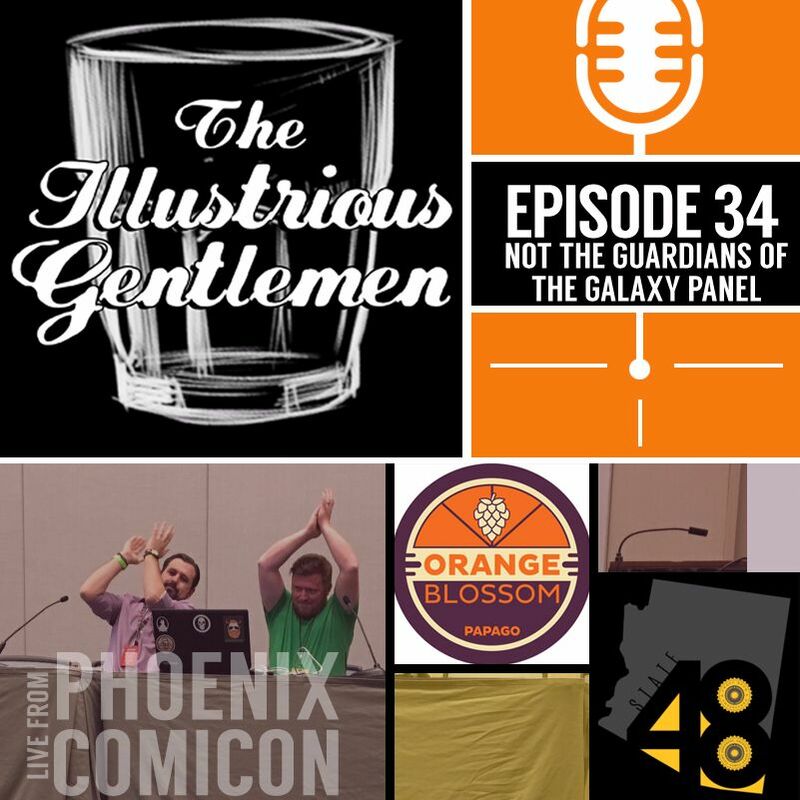 This week the guys have a short talk about Ryan's recent visit to Tucson for the Tucson Comic Con. It's a great town and show! Hope you all enjoy! 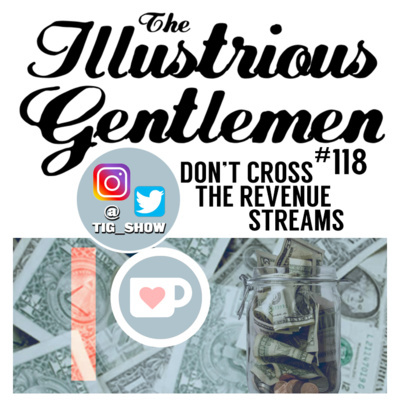 Support the show on Patreon at www.patreon.com/tigshow. As always, introduction by Gary Fitzgerald, intro music by The Bomb Busters (Good to be Alone) & outro music by Kevin MacLeod(Dirt Rhodes). 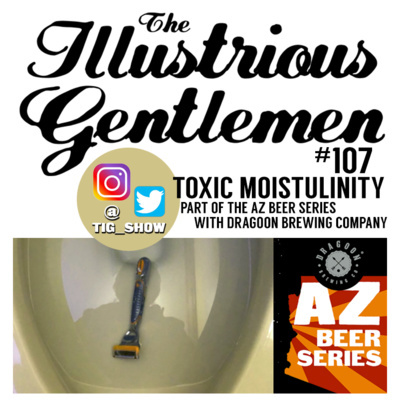 Follow the show on twitter at @tig_show . 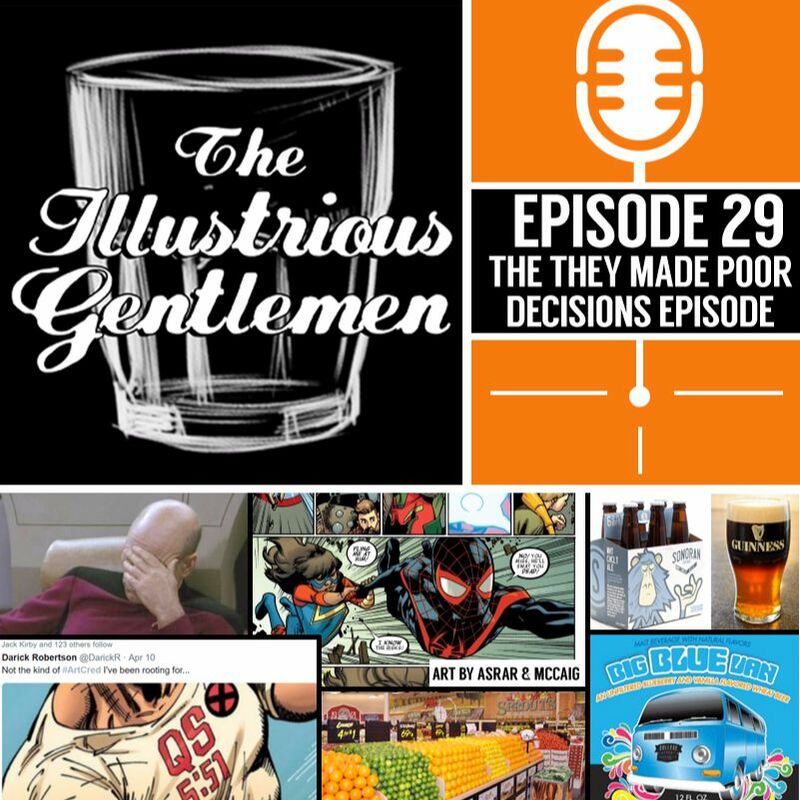 This week Scott and Ryan talk about feeling like they are undeserving and unworthy when it comes to making comics, and sometimes, life in general. Most of know what it feels like to be an imposter at some point, but you have to somehow learn to put that aside and get the work done. 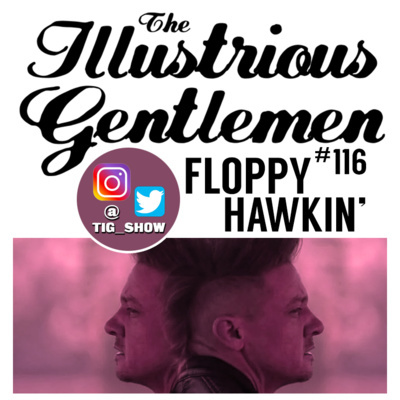 Support the show on Patreon at https://www.patreon.com/tigshow. As always, introduction by Gary Fitzgerald, intro music by The Bomb Busters (Good to be Alone) & outro music by Kevin MacLeod(Dirt Rhodes). 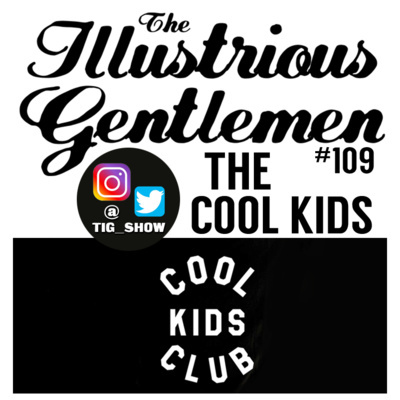 Follow the show on twitter at @tig_show . 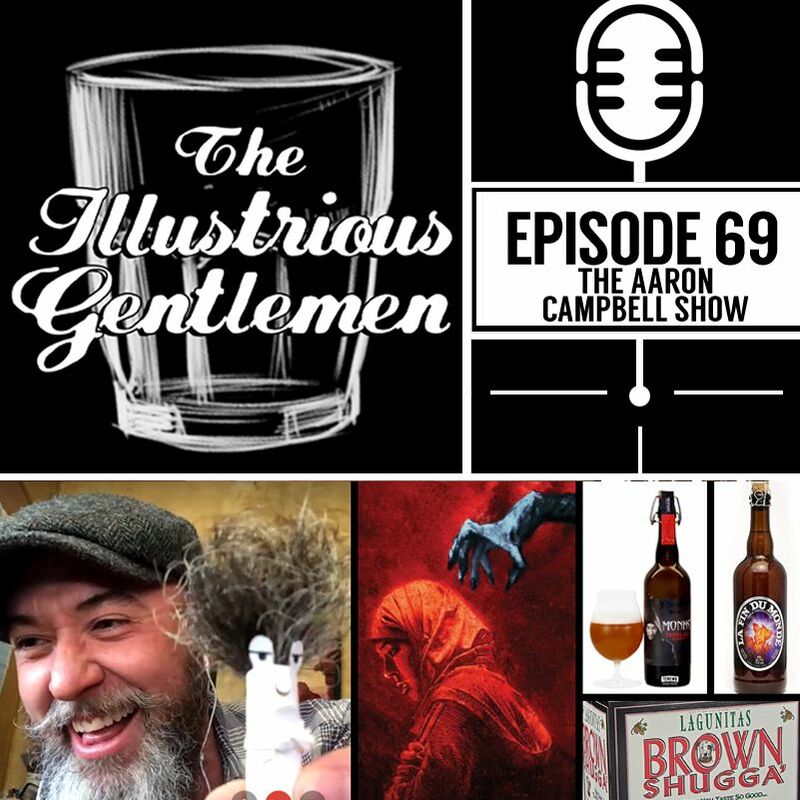 This week, Scott and Ryan talk about some of their creative influences outside the the world of comics, and they also have short chat about Halloween, so buckle up and enjoy! 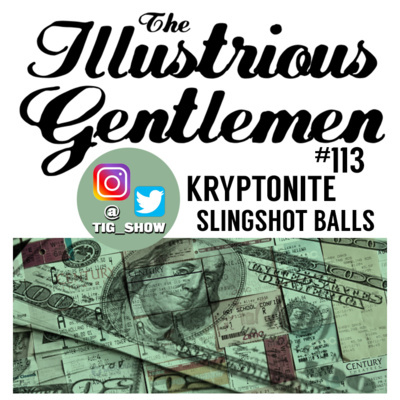 Follow the show on twitter at @tig_show . Intro by Gary Fitzgerald, with music by The Bomb Busters (Good to be Alone). Outro music by Kevin MacLeod(Dirt Rhodes). 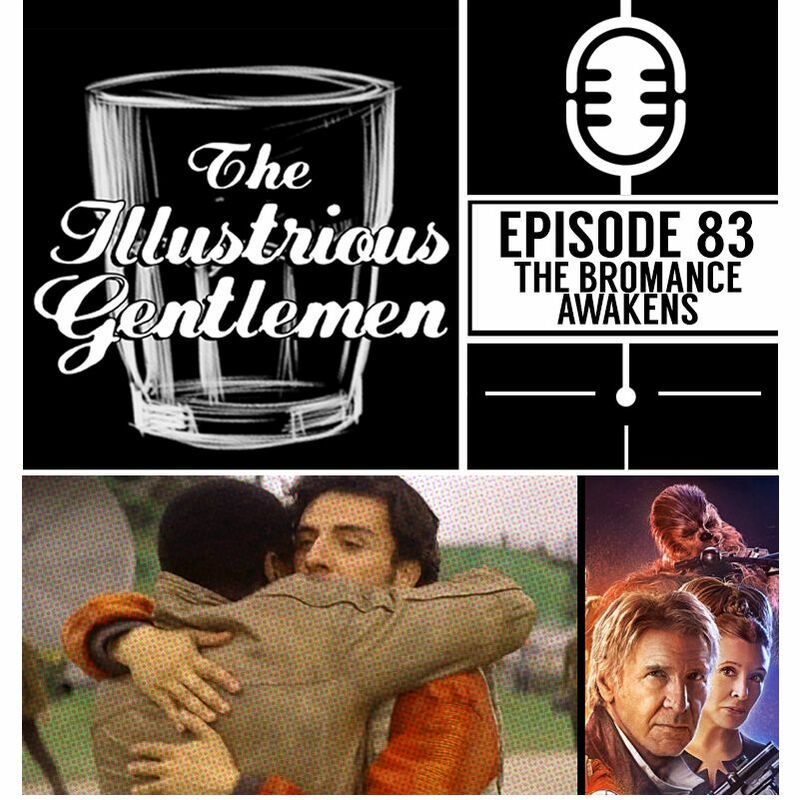 In this week's episode, we talk about our favorite movies! What we enjoy about them, how they inspire us, and what themes connect them. 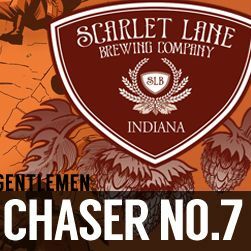 This week's episode is sponsored by Scarlet Lane Brewing & has an introduction by Gary Fitzgerald. 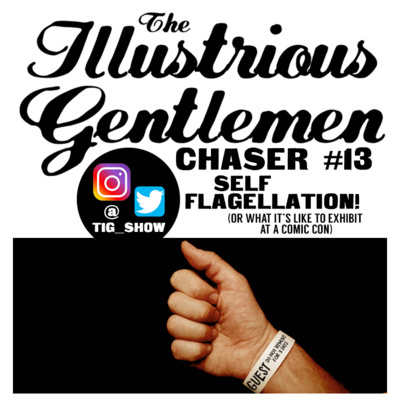 Follow the show on twitter at @tig_show . Intro music by The Bomb Busters (Good to be Alone). Outro music by Kevin MacLeod(Dirt Rhodes). 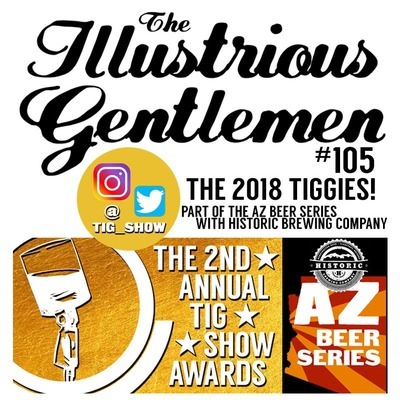 TIG 50 - The Tiggies! In our big 50th! 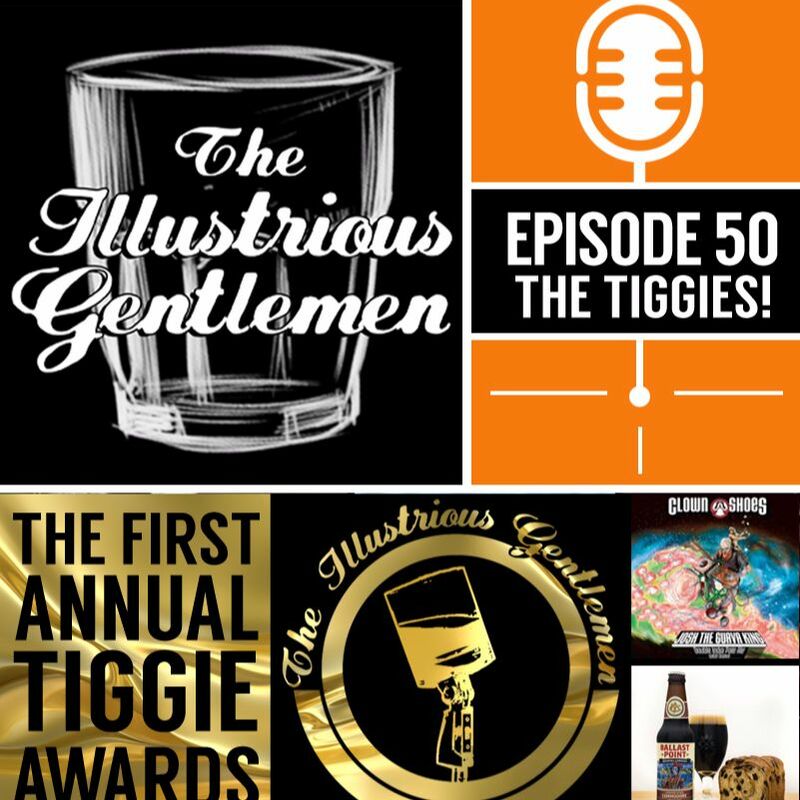 episode, Scott and Ryan look back on the first 49 and remember their favorites, and their not-so-favorites as we give out our first annual Tiggie Awards! 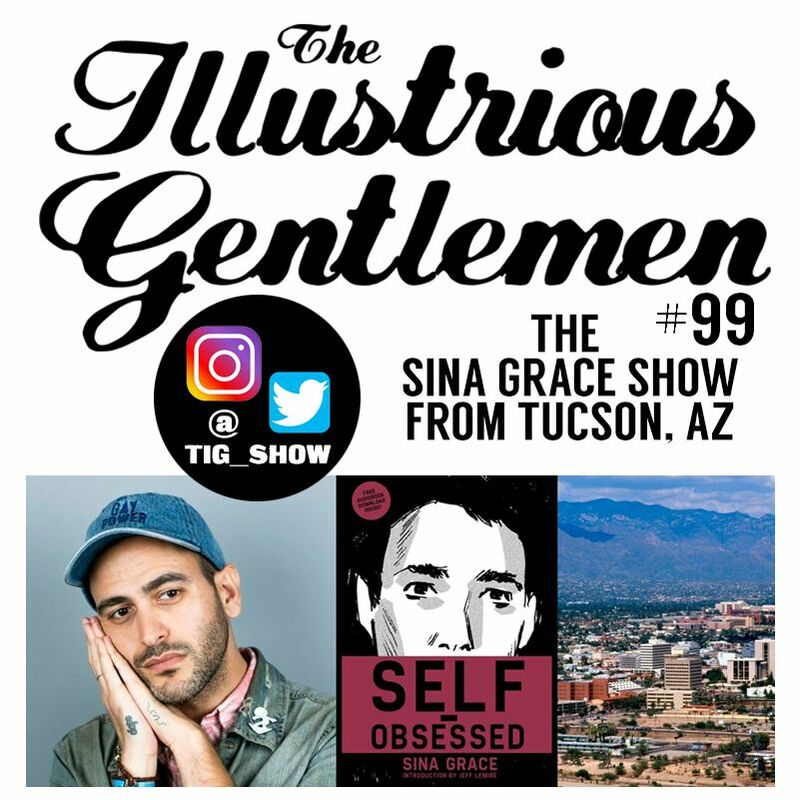 Follow the show on twitter at @tig_show and support us on Patreon at https://www.patreon.com/ryancody. Intro music by The Bomb Busters (Good to be Alone). Outro music by Kevin MacLeod(Dirt Rhodes). 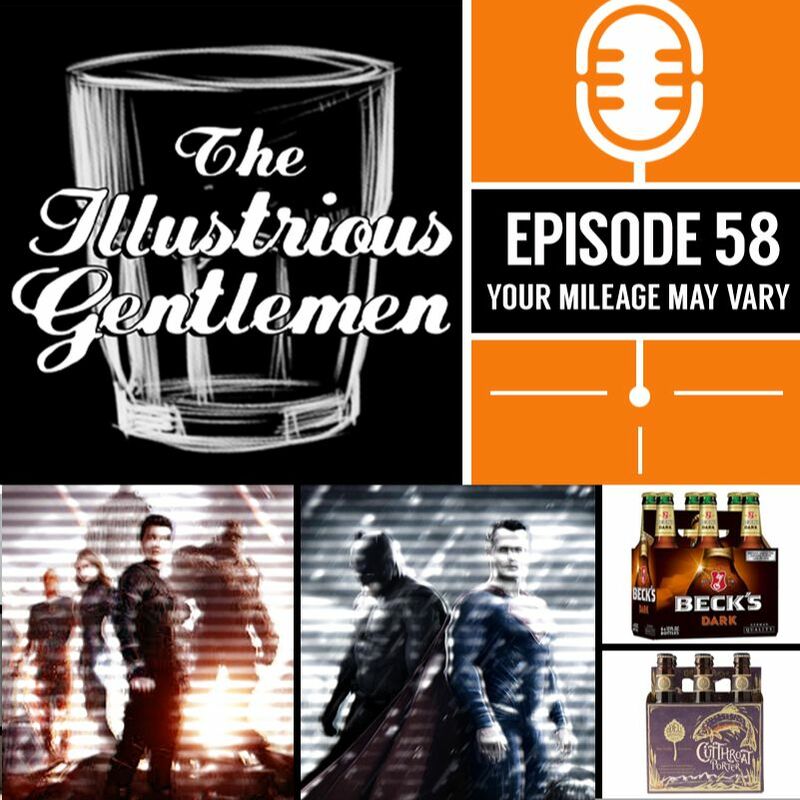 This week the guys geek out and take an online comic-book quiz. 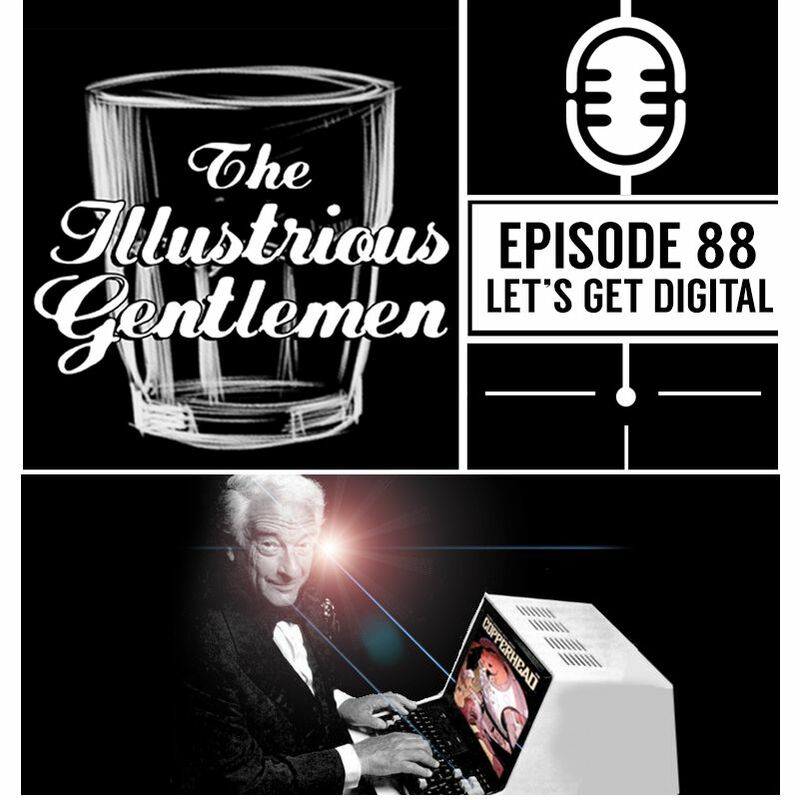 Spend some time with us as we dazzle you with our combined knowledge and our mutual loathing for computer generated A.I. questions. Intro music by The Bomb Busters (Good to be Alone). Outro music by Kevin MacLeod(Dirt Rhodes). 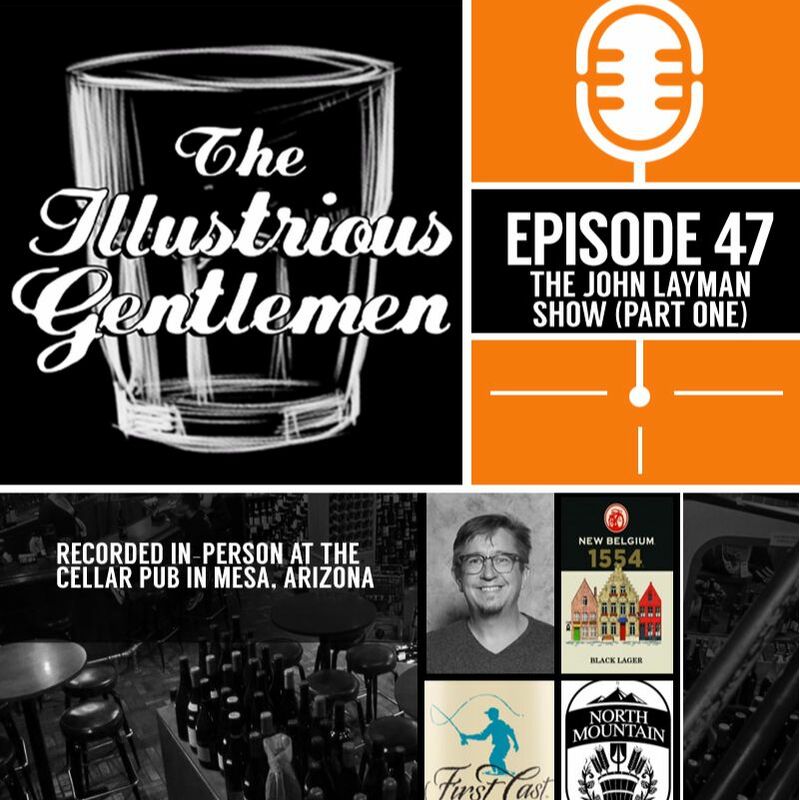 The second half of our visit with John Layman at The Cellar Pub in Mesa, Az. 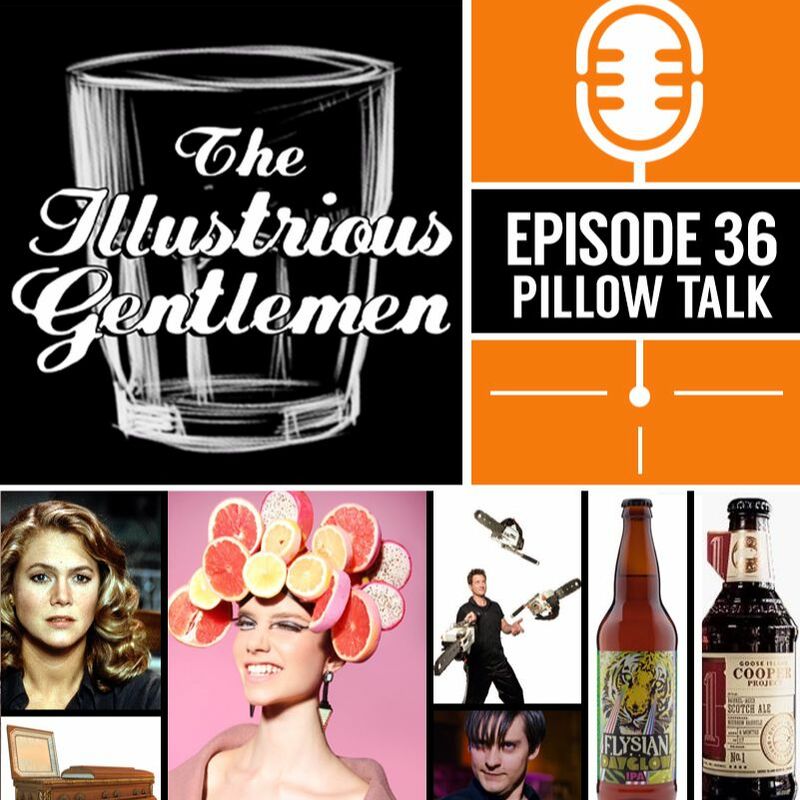 We talk about comic conventions, debauchery and so much more! 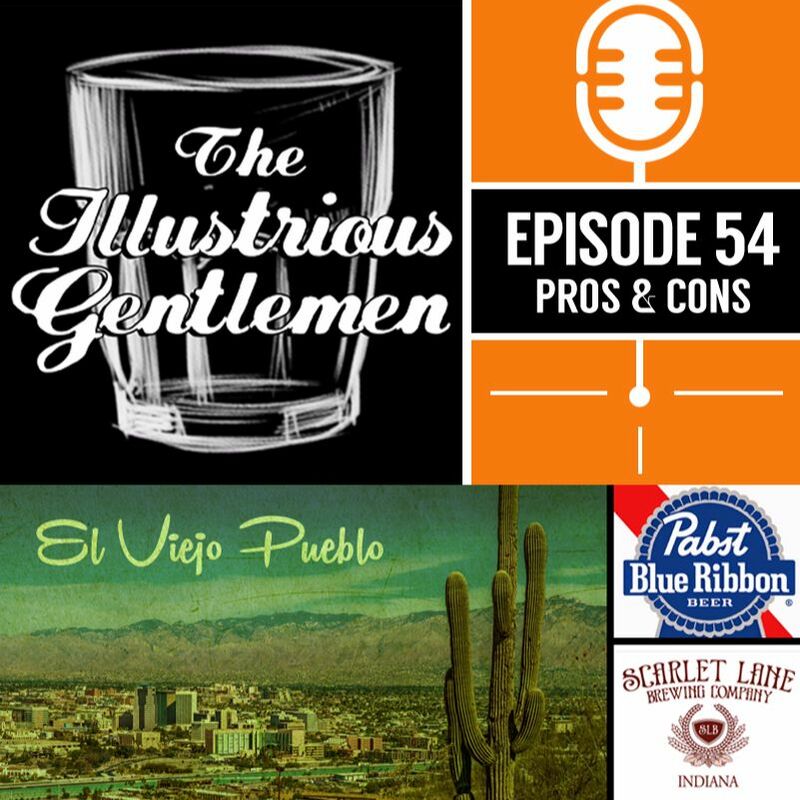 This episode is brought to you by Sun Devil Liquors & The Cellar Pub. Intro music by The Bomb Busters (Good to be Alone). Outro music by Kevin MacLeod(Dirt Rhodes). 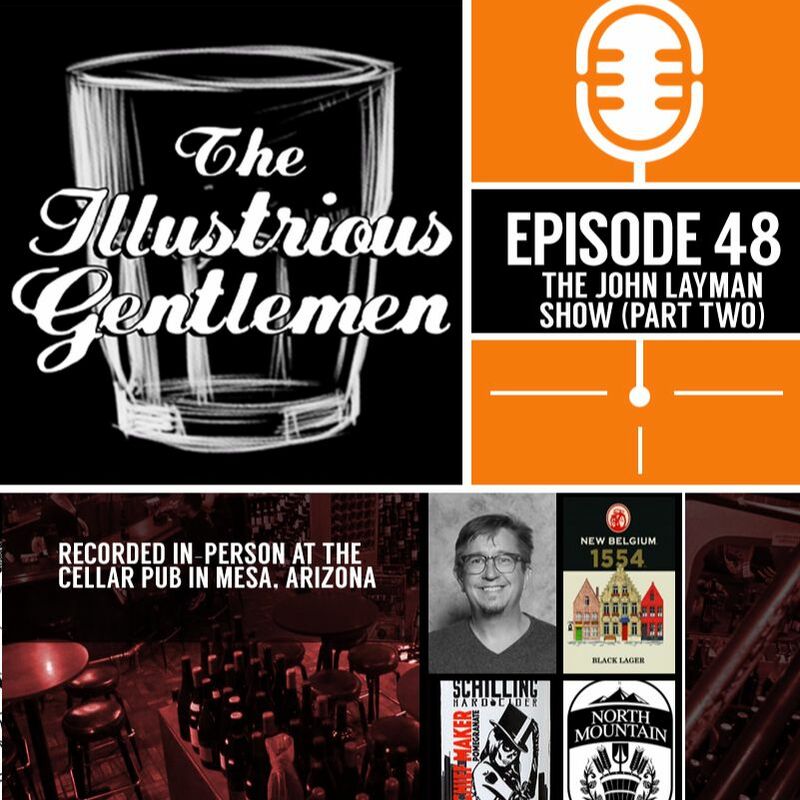 The guys are joined by comic book writer, John Layman, and have a few pints at The Cellar Pub in Mesa, Az. They talk about John's early career editing comics at Wildstorm, his thoughts on writing, and much more. 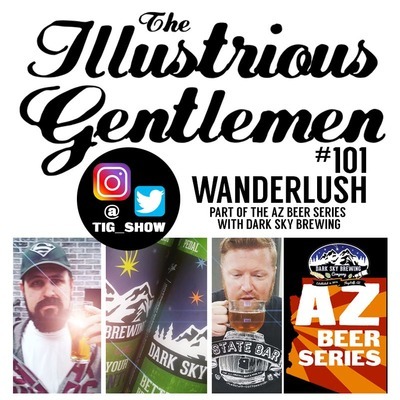 This episode is brought to you by Sun Devil Liquors & The Cellar Pub. 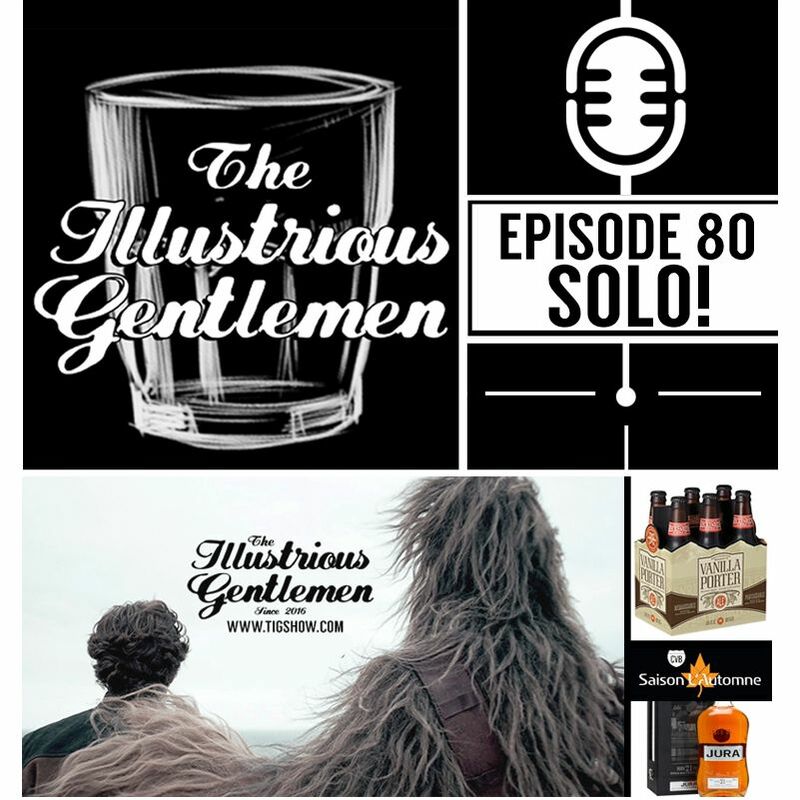 https://www.facebook.com/sundevilliquors/ & features intro music by The Bomb Busters (Good to be Alone). Outro music by Kevin MacLeod(Dirt Rhodes). Scott and Ryan talk through their views on selling and collecting original art, doing commissions for fans & more. Is it all about the money? (Mostly). For Scott's original art & commissions, contact Geoffmart@yahoo.com and for Ryan, contact hurricanekids@gmail.com. This episode has an introduction by Gary Fitzgerald. Intro music by The Bomb Busters (Good to be Alone). Outro music by Kevin MacLeod(Dirt Rhodes). This week the guys head out to Harlan County, Kentucky along with Raylan Givens and Boyd Crowder. 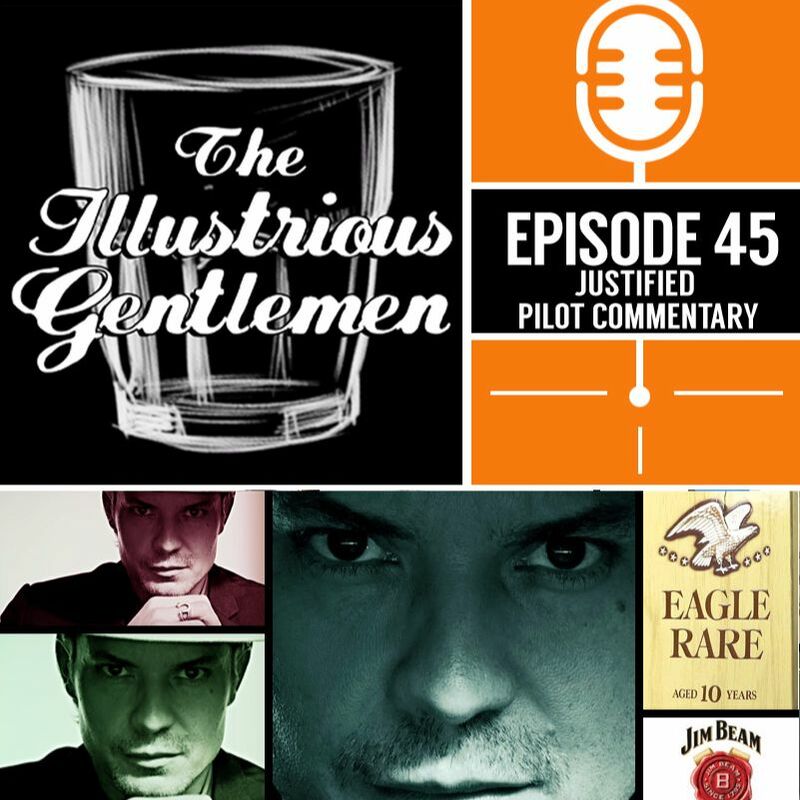 We watch and chat about the pilot episode of Justified, and drink some bourbon. You can watch along with us if you have the box set or an Amazon Prime membership. This episode has an introduction by Gary Fitzgerald. Intro music by The Bomb Busters (Good to be Alone). Outro music by Kevin MacLeod (Dirt Rhodes). This week the guys discuss Jack Kirby on his 100th birthday and the impact he's had on comics and art. From creating New Gods, Captain America and the Avengers to so much more. 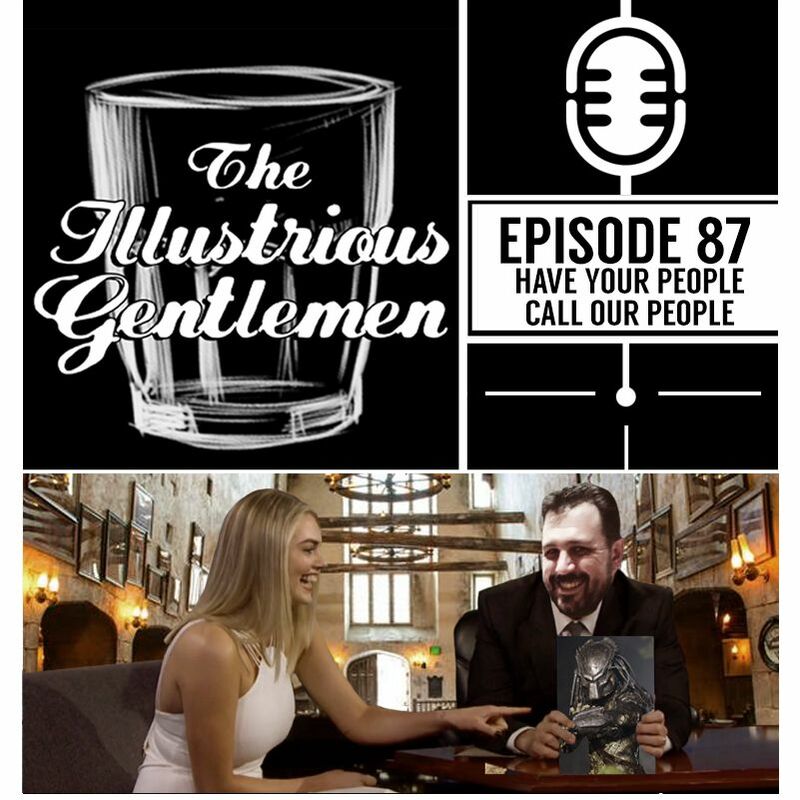 This episode is sponsored by the wonderful people at Tavour.com, with an introduction by Gary Fitzgerald. Intro music by The Bomb Busters (Good to be Alone). Outro music by Kevin MacLeod (Dirt Rhodes). 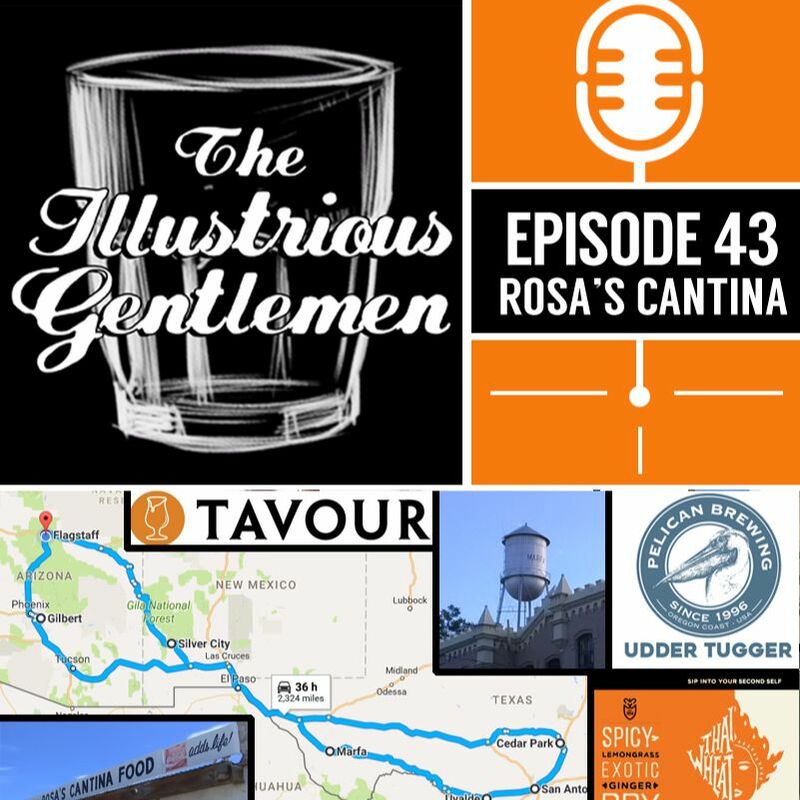 This week the guys share a couple drinks from the wonderful people at Tavour.com and Ryan recalls his recent drive through south Texas and his newly rekindled love affair with Lone Star Beer. This episode has an introduction by Gary Fitzgerald. Intro music by The Bomb Busters (Good to be Alone). Outro music by Kevin MacLeod (Dirt Rhodes). In this episode, Ryan visits Scott at his home office and they discuss what comics they would give to a new comic book fan to try and hook them. 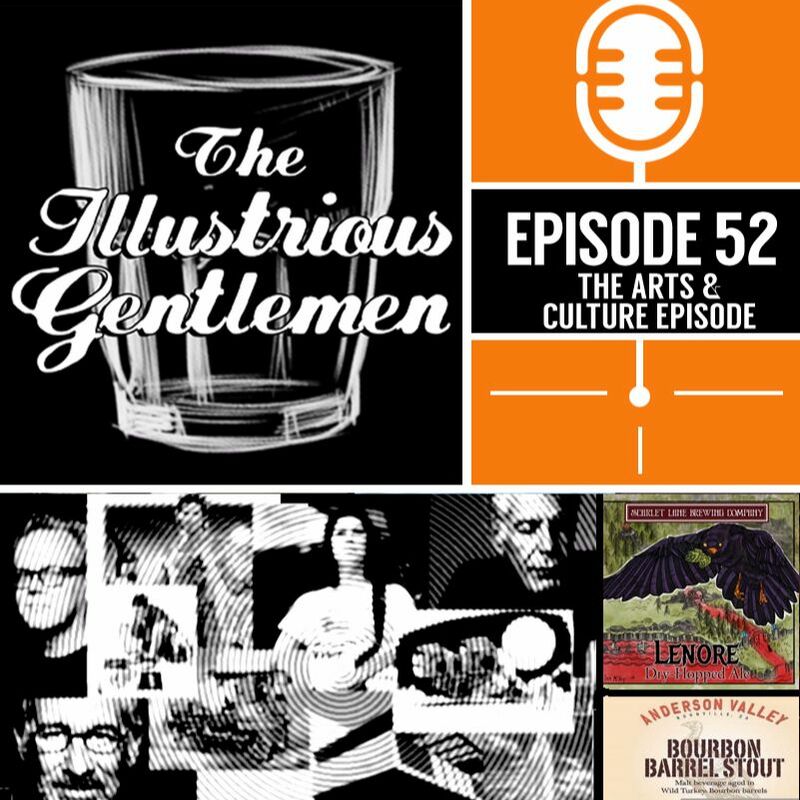 Be aware, there are some audio difficulties in this episode as we still need to tweak our “live” recordings. If you can get past them, and if you're really a good and kind person, you can, it's a fun conversation. 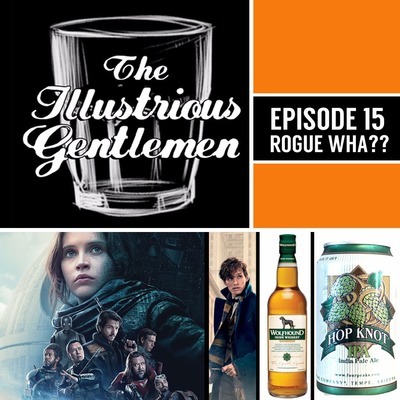 This episode is sponsored by Rob Ozborne and www.robozborne.com. Rob does amazing art, and has prints, original paintings and apparel for sale. This episode has an introduction by Gary Fitzgerald. Intro music by The Bomb Busters (Good to be Alone). Outro music by Kevin MacLeod (Dirt Rhodes). 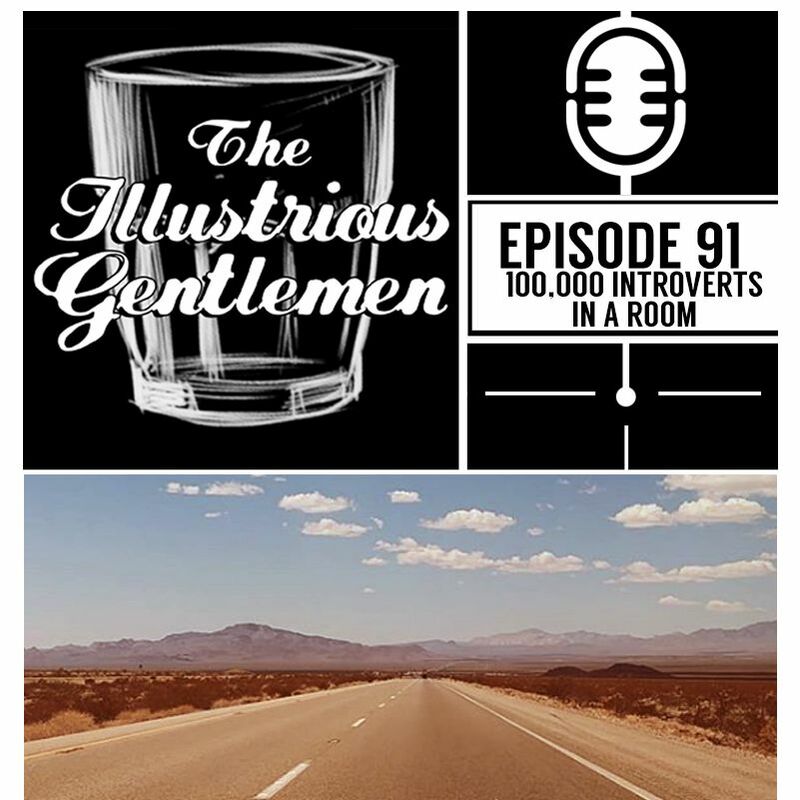 This week, the guys talk about working from home versus not working from home and focus mainly on Ryan's new office located in the hometown of James and John Proudstar. They also name drop Idris Elba and Ryan drinks the most expensive beer he's ever bought. This episode has an introduction by Gary Fitzgerald. Intro music by The Bomb Busters (Good to be Alone). Outro music by Kevin MacLeod (Dirt Rhodes). 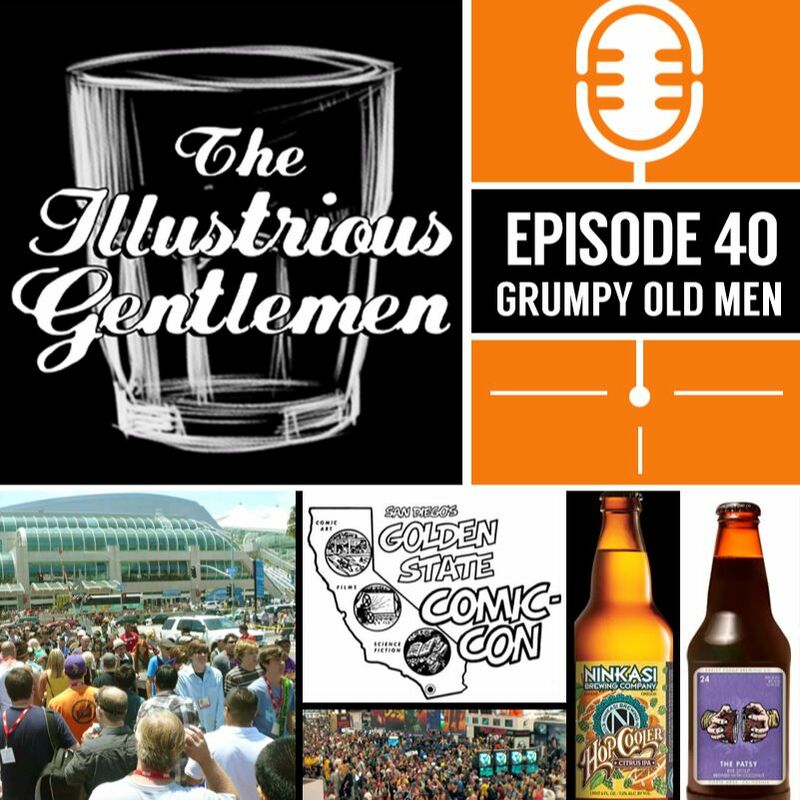 This week the guys talk about their experiences at San Diego Comic Con from many years ago, and they both have slightly less than amazing beers in the process! 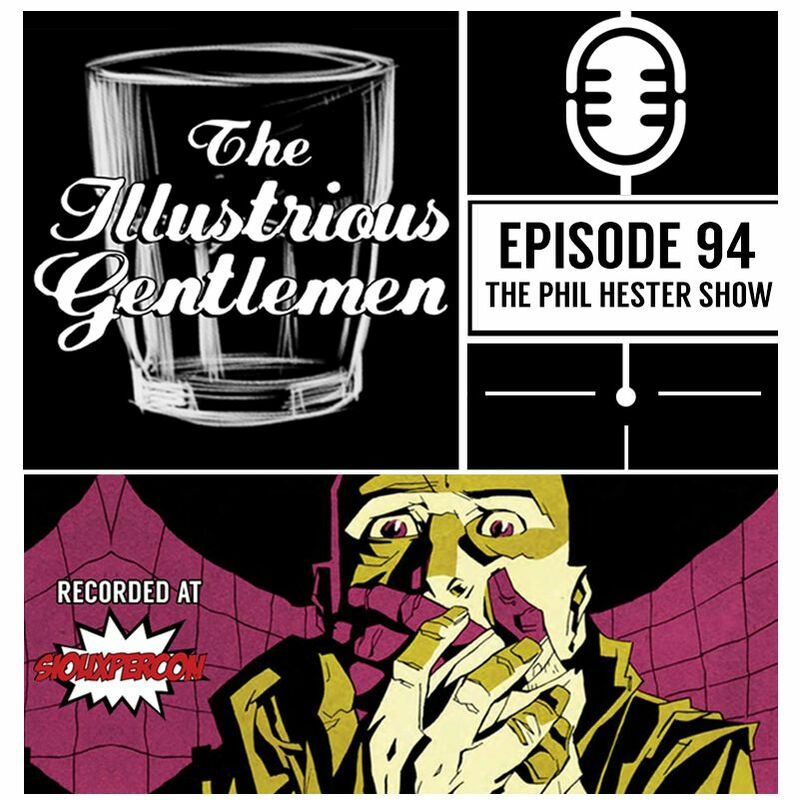 This episode features an audio clip featuring Ken Krueger and Shel Dorf from the first ever show (http://www.comicconmemories.com), and as always this episode has an introduction by Gary Fitzgerald. Intro music by The Bomb Busters (Good to be Alone). Outro music by Kevin MacLeod (Dirt Rhodes). In this episode, Ryan and Scott delve deeper into the newly released Superman #26, Scott's first issue of Superman. Scott talks about what it's like to work on an icon, the thought process that went into the issue, and much more. 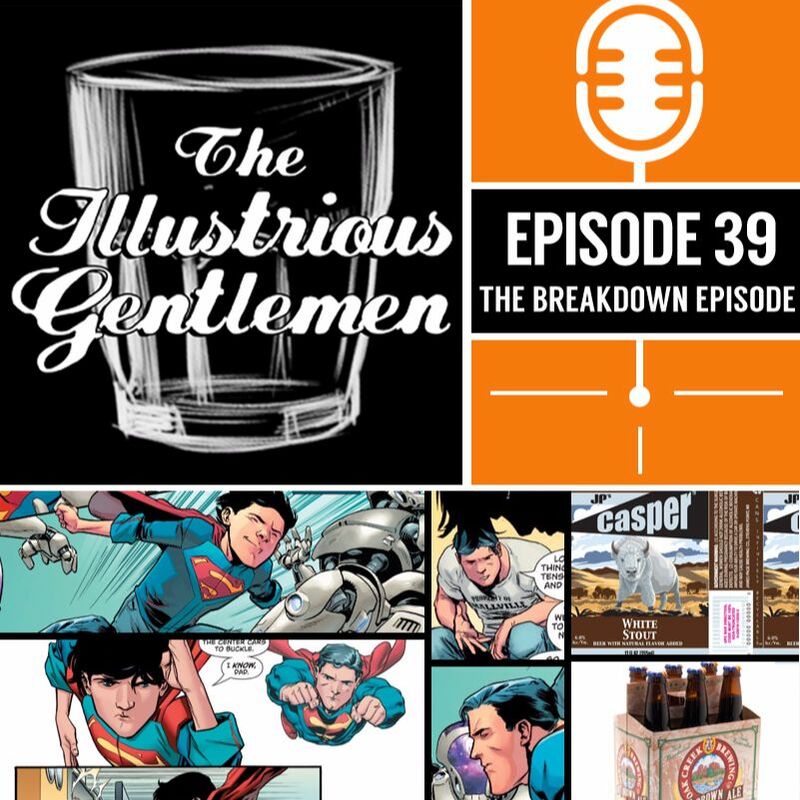 This is a great episode for Superman fans and process junkies alike. 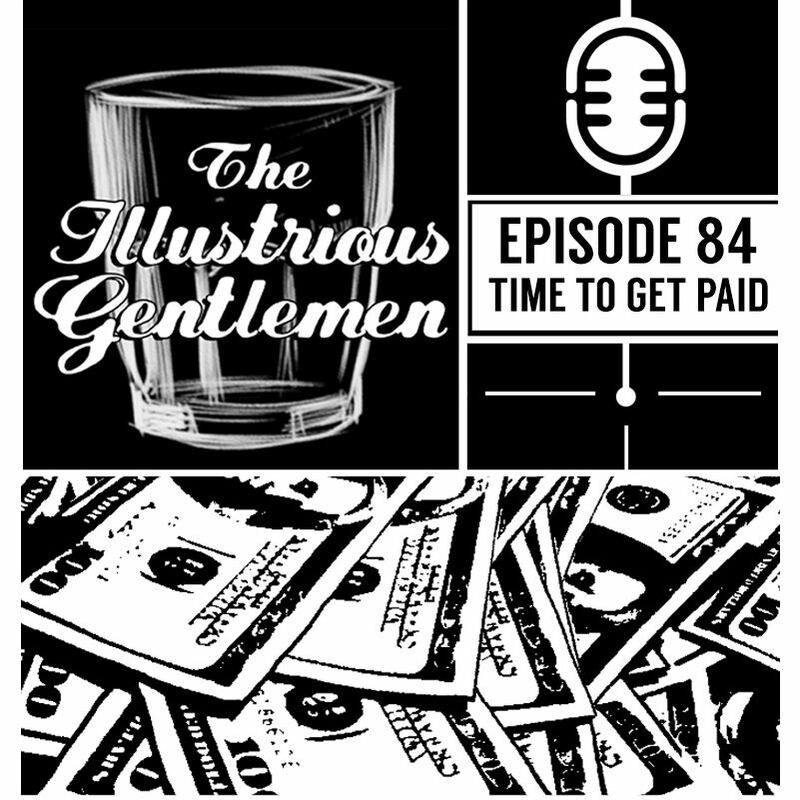 As always, this episode has an introduction by Gary Fitzgerald. Intro music by The Bomb Busters (Good to be Alone). Outro music by Kevin MacLeod (Dirt Rhodes). 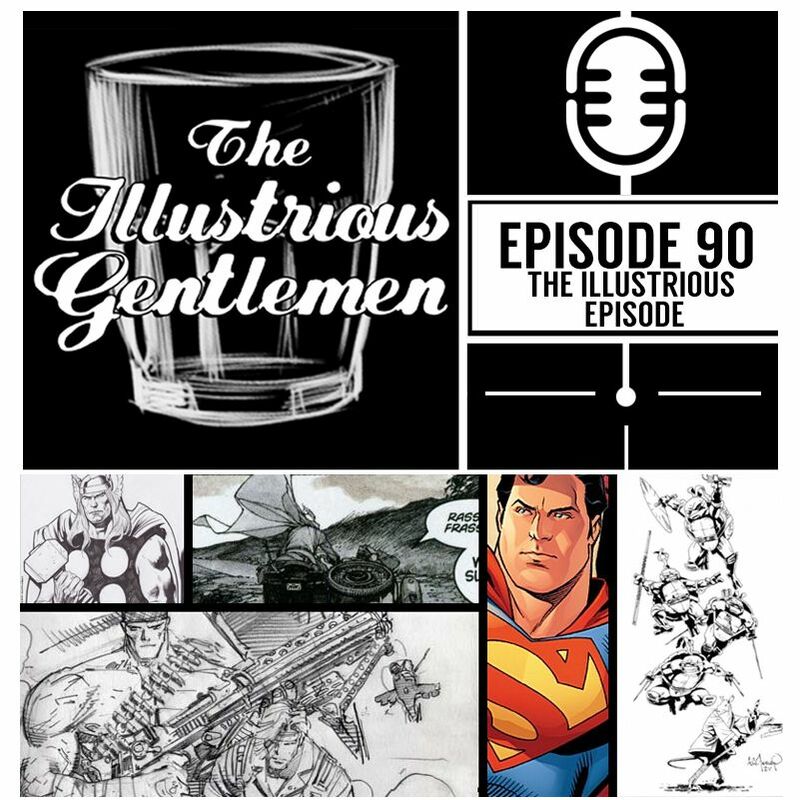 This week the guys talk about their process when it comes to making comics! With an introduction by Gary Fitzgerald. Intro music by The Bomb Busters (Good to be Alone). Outro music by Kevin MacLeod (Dirt Rhodes). 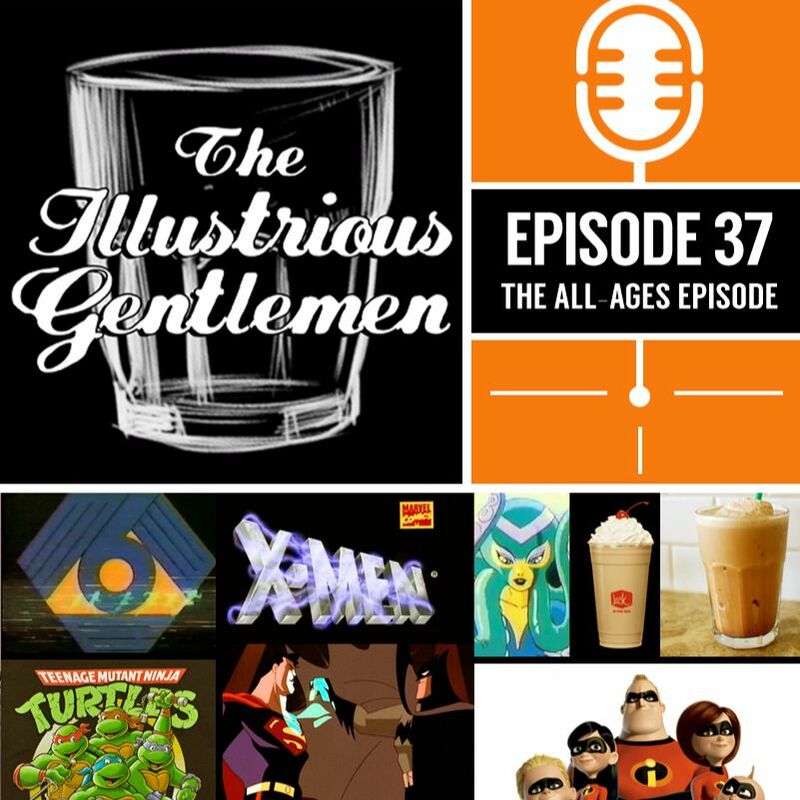 This week the guys talk about their favorite cartoons of all time! What stuck with them, what left an impression and what didn't, all while enjoying milkshakes! This is the episode for kids of all ages. 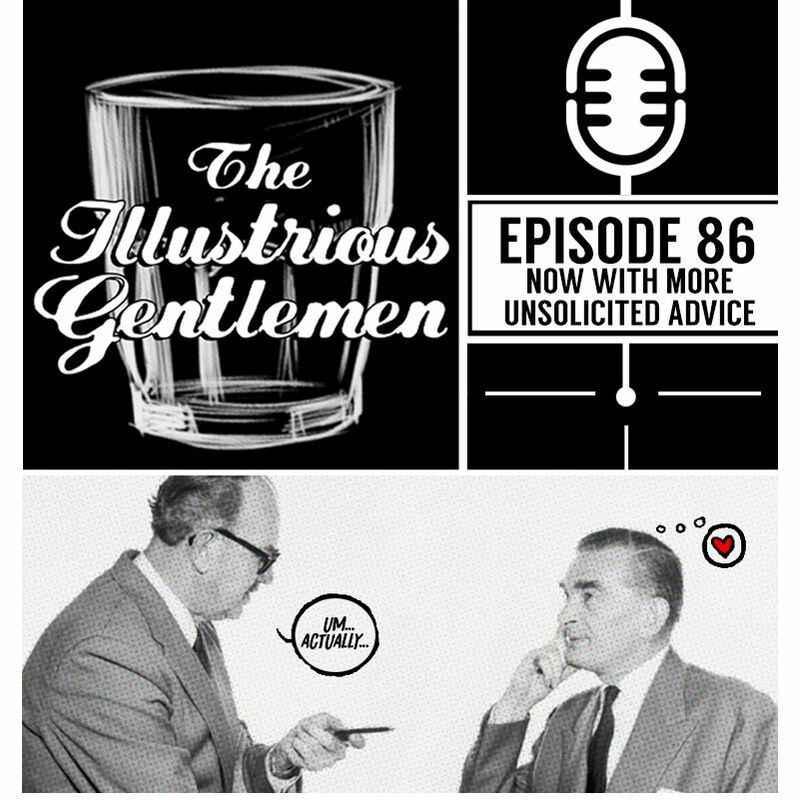 This episode features an introduction by Gary Fitzgerald. Intro music by The Bomb Busters (Good to be Alone). Outro music by Kevin MacLeod (Dirt Rhodes). This episode is certainly unique. Scott and Ryan (plus a special guest! )go back and forth answering ridiculous computer-generated questions. It's like War Games but not even remotely so. This episode is sponsored by Jesse James Comics, with an introduction by Gary Fitzgerald. Intro music by The Bomb Busters (Good to be Alone). Outro music by Kevin MacLeod (Dirt Rhodes). 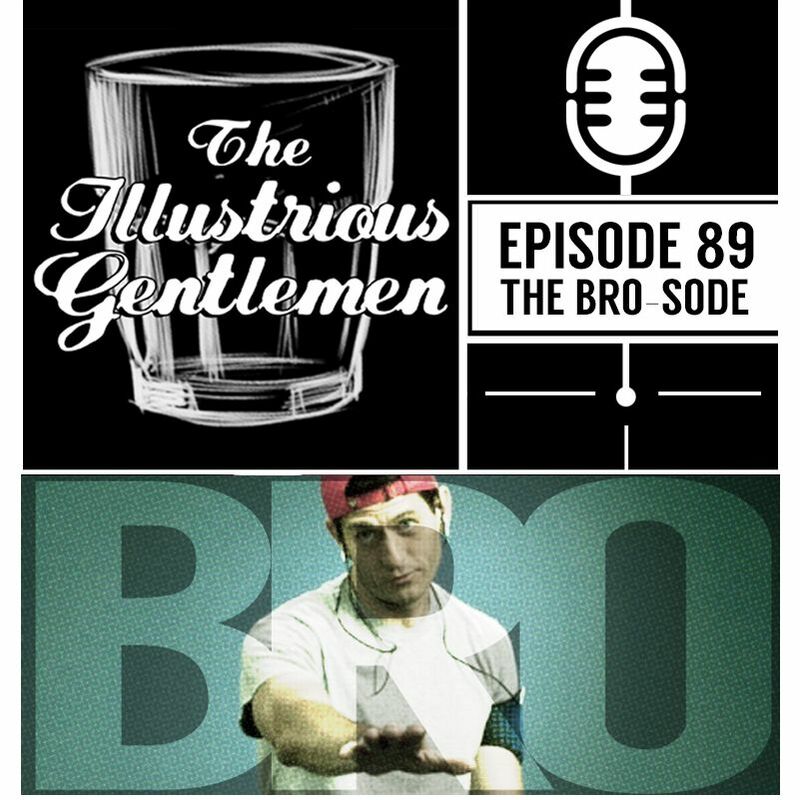 On this episode Scott and Ryan talk about their favorite TV shows. 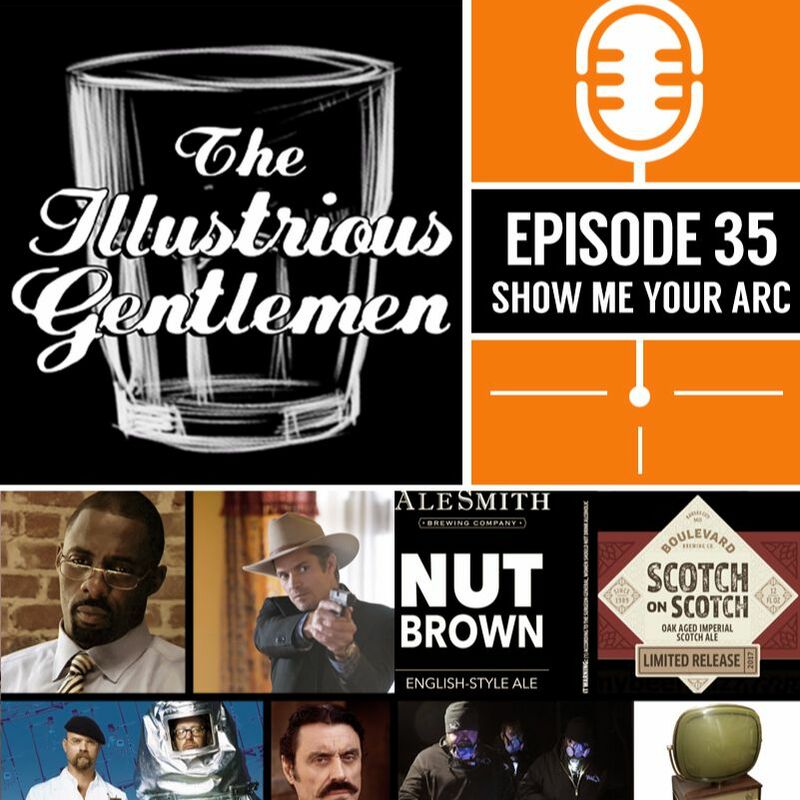 From scripted dramas, to comedies to "reality" TV, the guys go through their best of lists. It's a great time for television right now, and we're celebrating it. Ryan also talks about his thoughts on the Gal Gadot Wonder Woman movie. 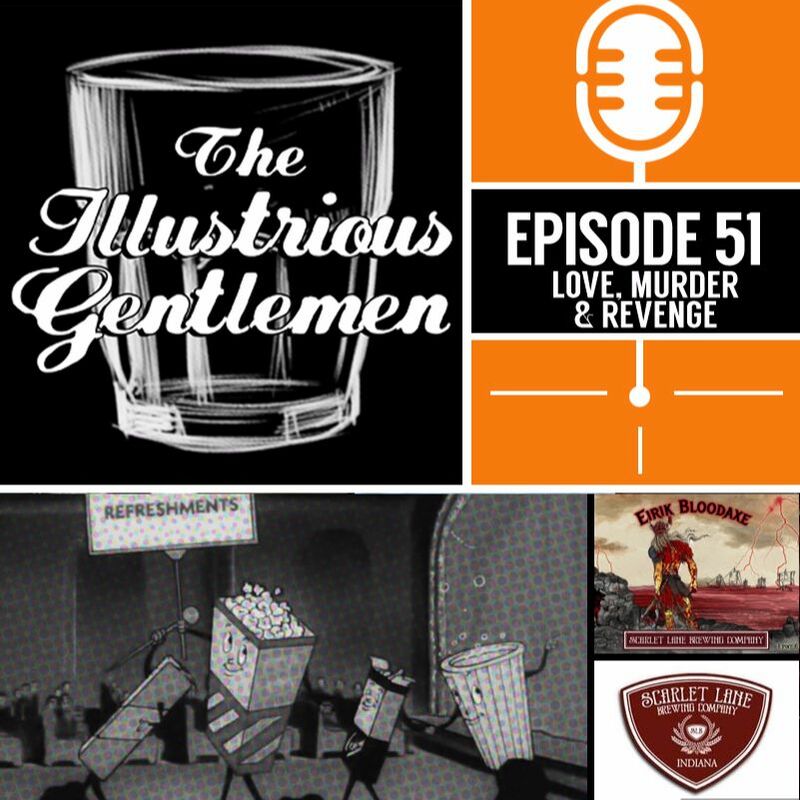 This episode is sponsored by Jesse James Comics, with an introduction by Gary Fitzgerald. Intro music by The Bomb Busters (Good to be Alone). Outro music by Kevin MacLeod (Dirt Rhodes). 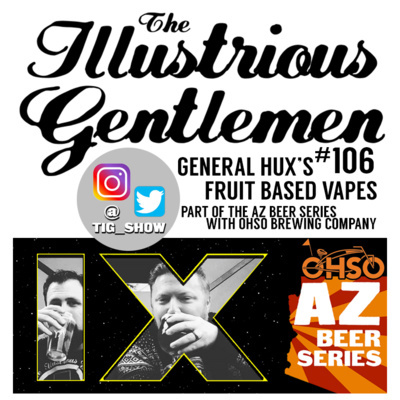 Recorded live at Phoenix Comicon 2017! In this episode Scott and Ryan cover a wide range of topics related to comic book conventions, the near death of The Green Ranger, drawing for fans and much more. Intro by Gary Fitzgerald. Intro music by The Bomb Busters (Good to be Alone). Outro music by Kevin MacLeod (Dirt Rhodes). 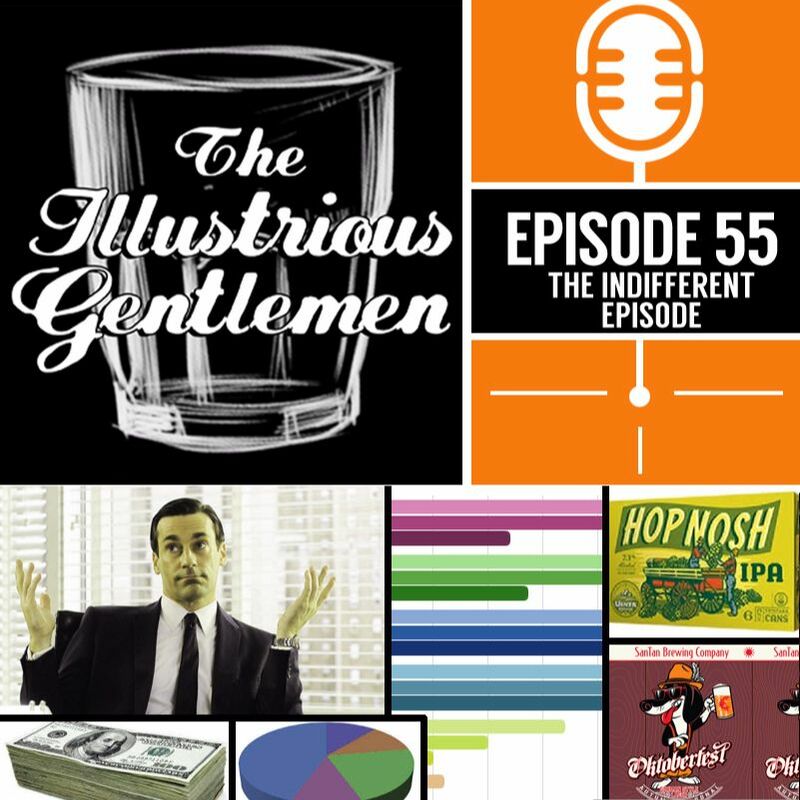 The guys are off this week so we've put together a treat for fans of the show. 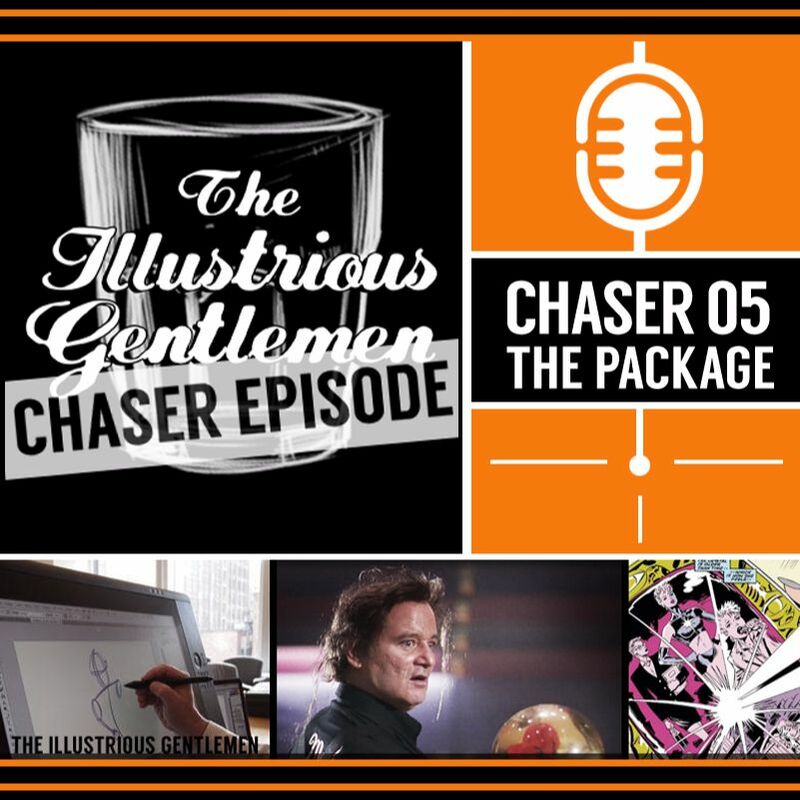 We packaged up Chasers 1, 2 & 3 into one episode for your easy listening pleasure. 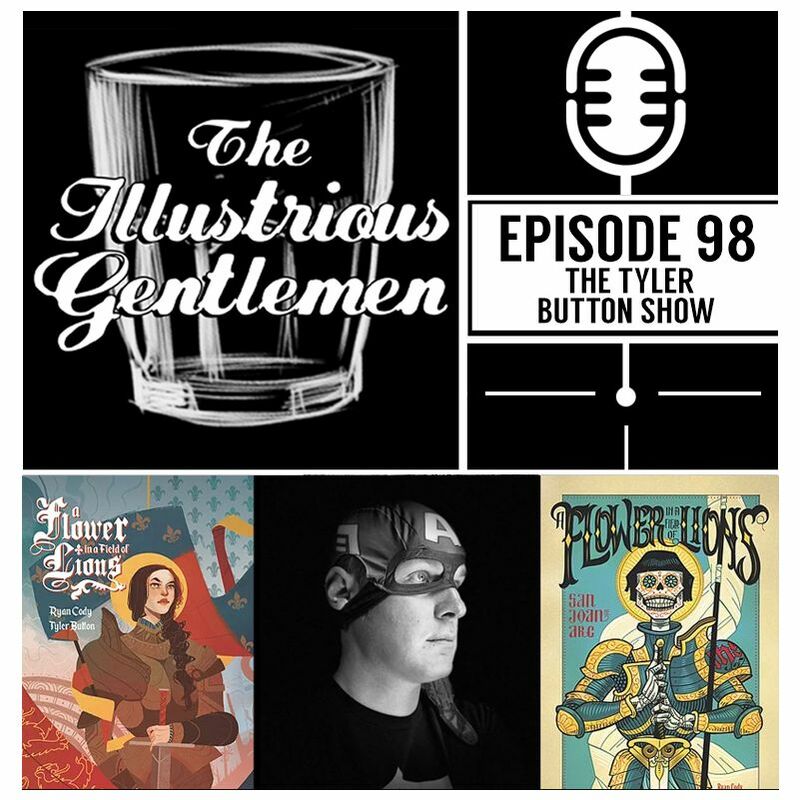 We chat about drawing comics digitally, bowling for charity in Seattle and the Siege Perilous saga in the X-Men comics. Chaser music by Kevin Macleod, with bumper music by The Agrarians, and an intro by Gary Fitzgerald. 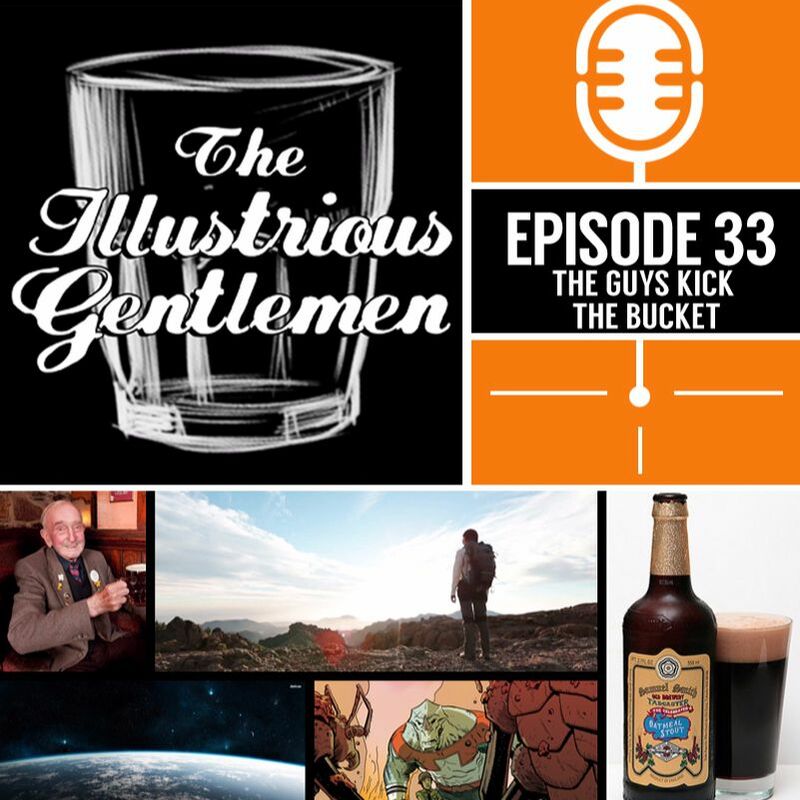 This week the guys make a half-hearted attempt at coming up with their bucket list items. 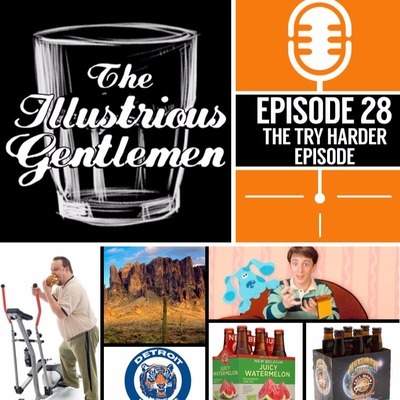 Topics range from traveling to drinking, which is what is to be expected. 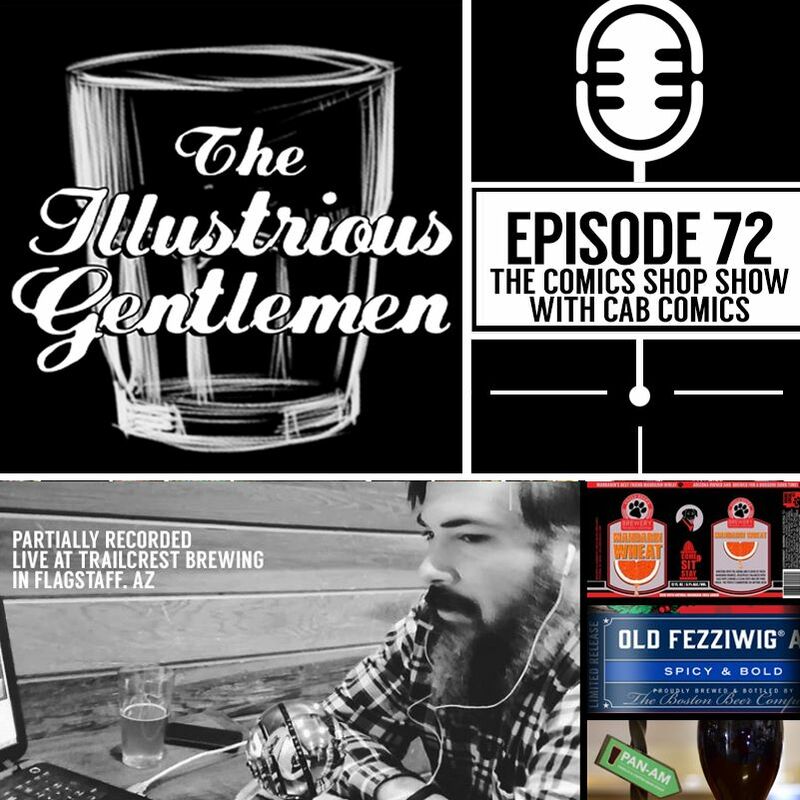 This episode is sponsored by Jesse James Comics, with an introduction by Gary Fitzgerald. Intro music by The Bomb Busters (Good to be Alone). Outro music by Kevin MacLeod (Dirt Rhodes). 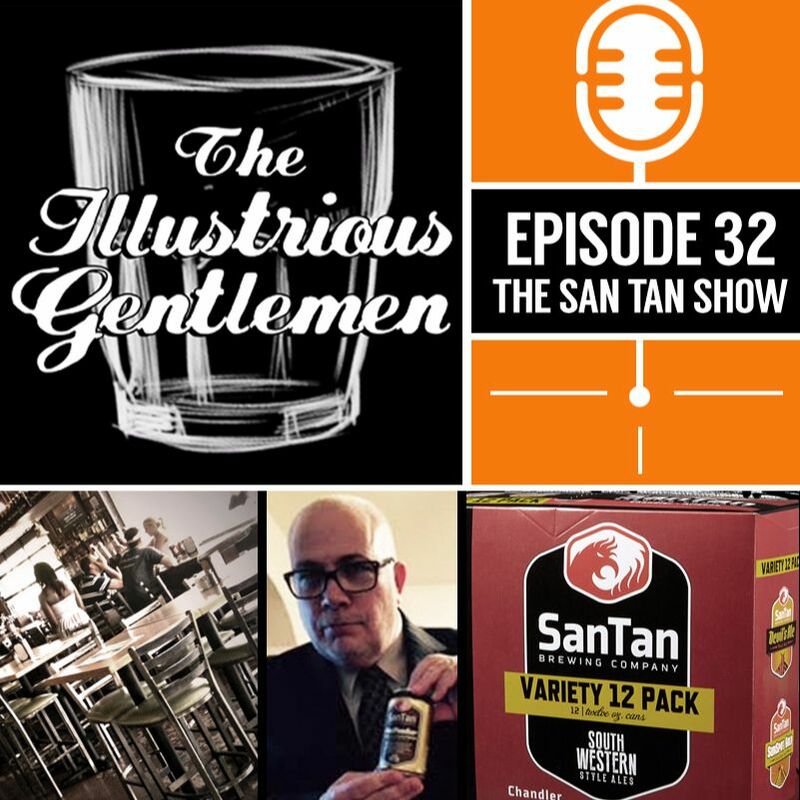 This week the guys traveled to San Tan Brewery in Chandler, Arizona and chatted with their old pal Mike Malve. Mike is the former owner of Atomic Comics and currently works for San Tan Brewing. Mike also does a lot of work for The HERO Initiative, a great charity that helps comic book veterans. 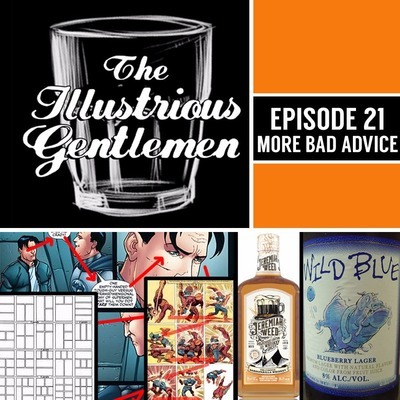 This episode is sponsored by Jesse James Comics, with an introduction by Gary Fitzgerald. Intro music by The Bomb Busters (Good to be Alone). Outro music by Kevin MacLeod (Dirt Rhodes). 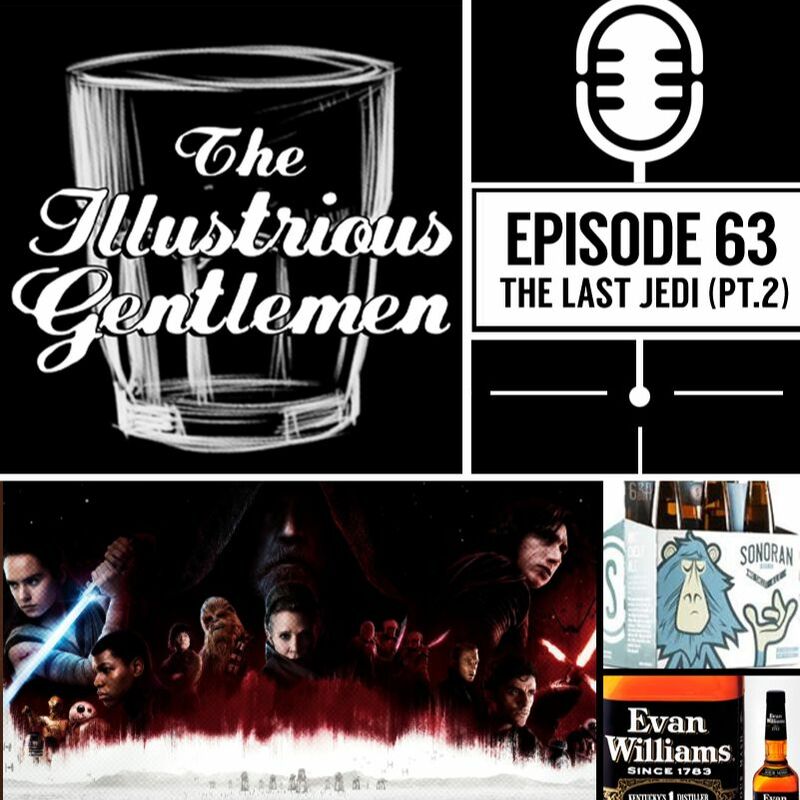 The guys chat about Ryan's new podcast project, The Arizona Comic Mini Expo, movies, geekery, podcasting, Harry Potter, and cocktails and bourbon. 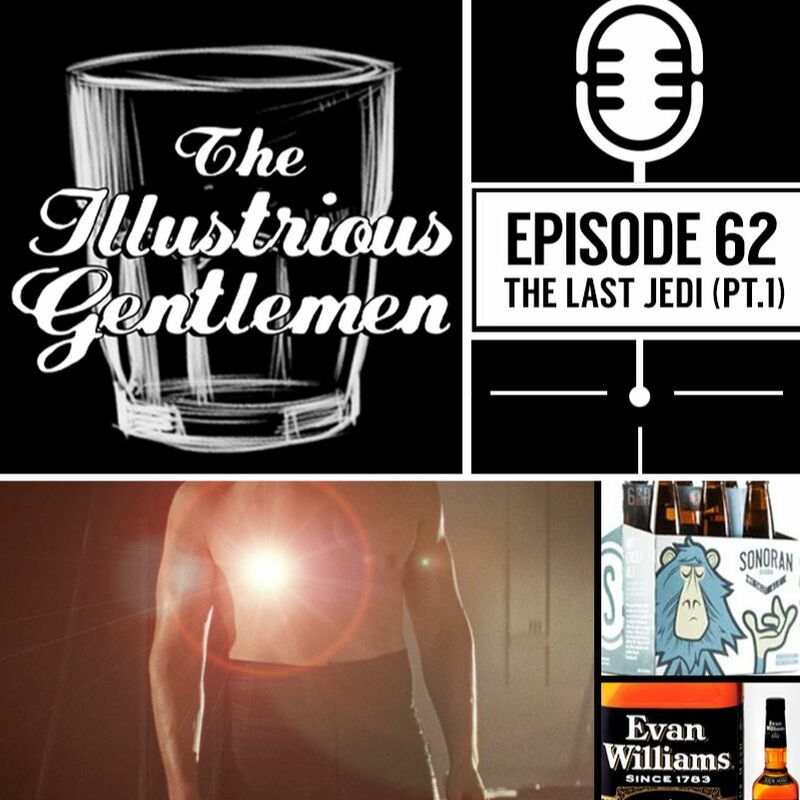 This episode is sponsored by Jesse James Comics, with an introduction by Gary Fitzgerald. Intro music by The Bomb Busters (Good to be Alone). Outro music by Kevin MacLeod (Dirt Rhodes). 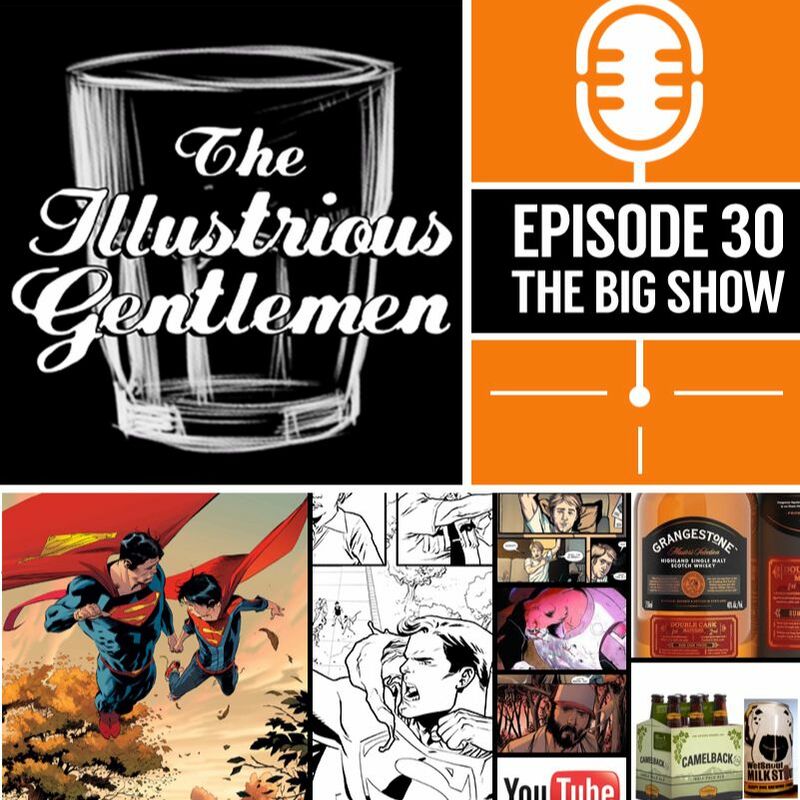 In this week's episode the guys chat mostly about Scott's upcoming stint on Superman and how his career has progressed since his self publishing days. This episode is sponsored by Jesse James Comics, with an introduction by Gary Fitzgerald. Intro music by The Bomb Busters (Good to be Alone). Outro music by Kevin MacLeod (Dirt Rhodes). 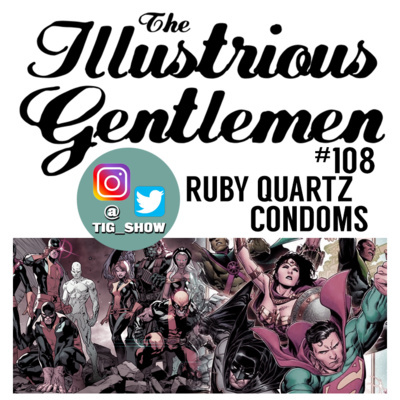 This week, Scott and Ryan chat about some of the recent comments made about comics, including diversity, the importance of artists, and how context plays a role in that. They also discuss the Ardian Syaf issue. Tackling the tough subjects 2 weeks too late! 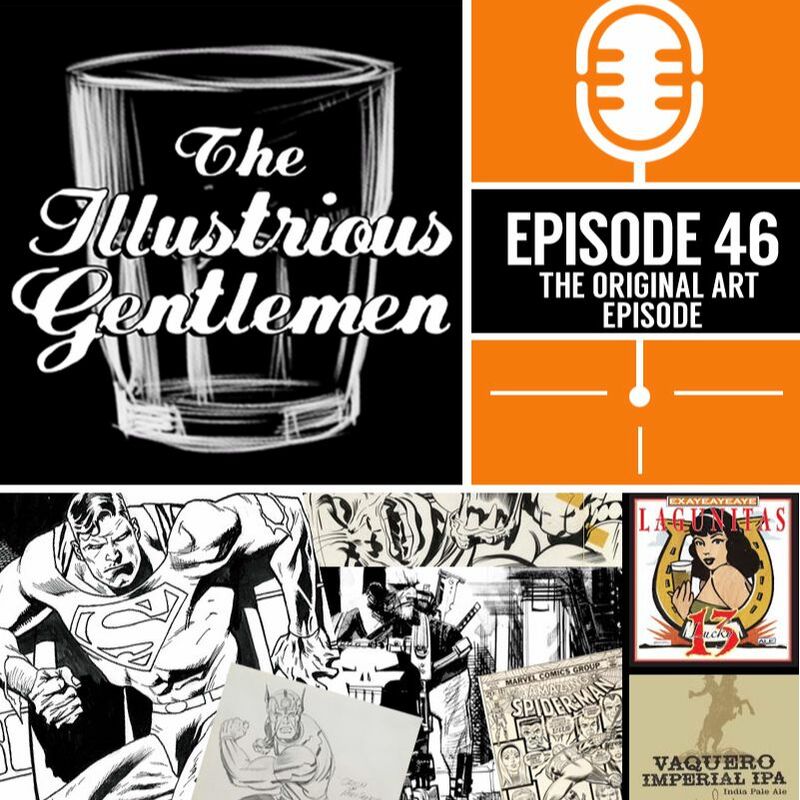 This episode is sponsored by Jesse James Comics with an introduction by Gary Fitzgerald. Intro music by The Bomb Busters (Good to be Alone). Outro music by Kevin MacLeod (Dirt Rhodes). 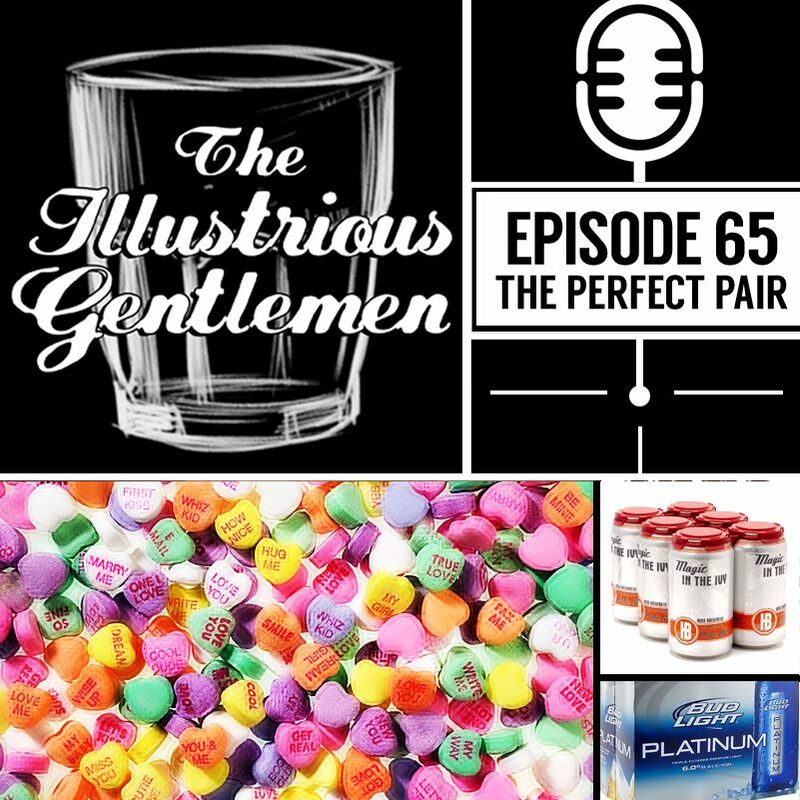 An episode with no topic leads to talking about hiking, baseball, dirty dishes, anxiety and so much more! 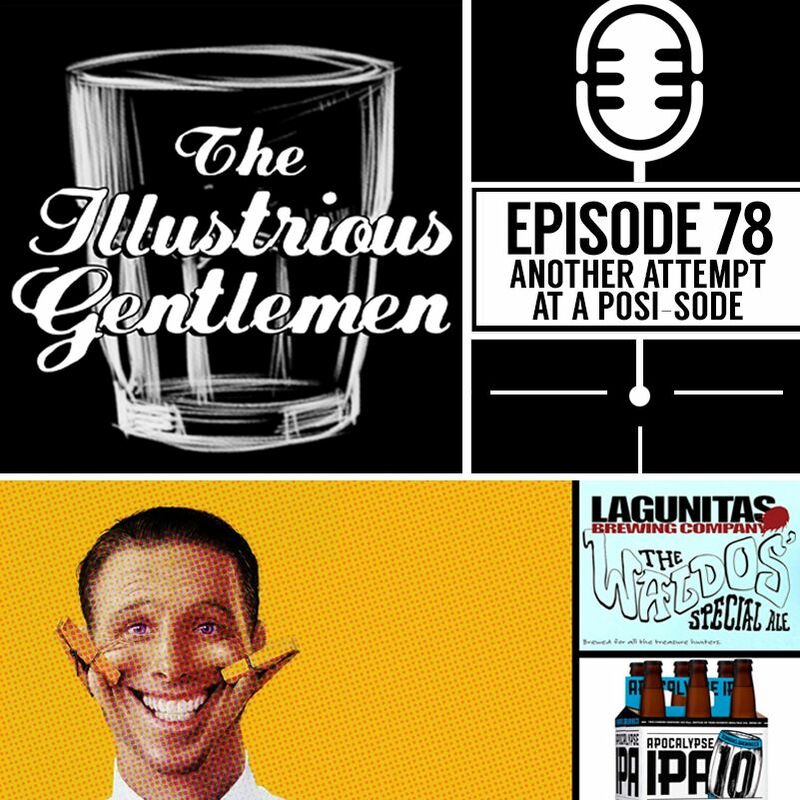 Follow the show on twitter @tig_show, and let us know what you’re drinking in the comments. We are proud to welcome new sponsor, Jesse James Comics, with this episode. Introduction by Gary Fitzgerald. Intro music by The Bomb Busters . Outro music by Kevin MacLeod. 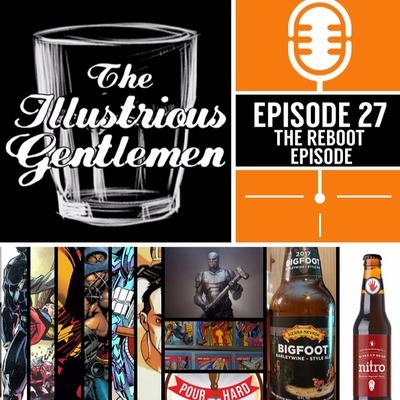 In this week's episode, Scott and Ryan talk about some of the more underutilized characters in comics and how they would handle rebooting & re-imagining them. Intro by Gary Fitzgerald. Intro music by The Bomb Busters. Outro music by Kevin MacLeod. 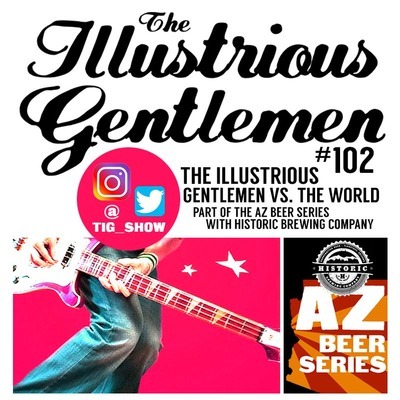 Visit the gentlemen online at www.tigshow.com, follow them on twitter @tig_show, and let us know what you're drinking in the comments. 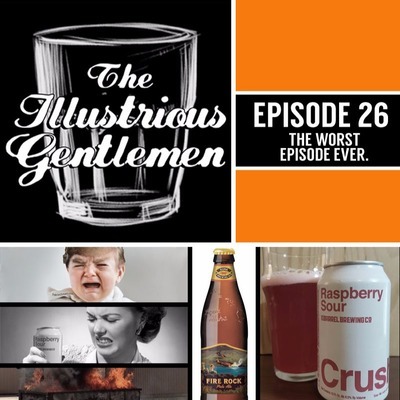 In their 26th episode, Scott and Ryan celebrate the 1 year anniversary of their first ever recording by poorly answering questions from listeners, and Scott finds a new favorite drink. This episode is brought to you by Samurai Comics, with an intro by Gary Fitzgerald. Intro music by The Bomb Busters (Good to be Alone). Outro music by Kevin MacLeod (Dirt Rhodes). 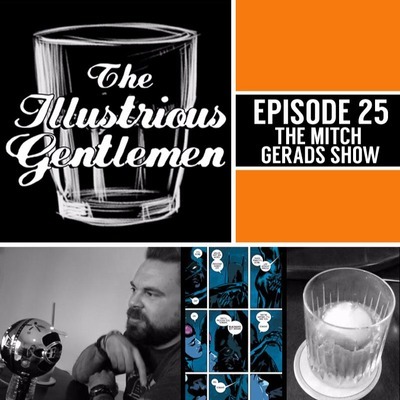 It's a very special silver embossed 25th episode for The Illustrious Gentlemen and we're thrilled to have been joined by comic creator and upstanding citizen, Mitch Gerads. Mitch has worked on books for Image, Marvel and DC and has recently done a few issues of Batman. This episode was recorded at Mitch's house, with Scott being tele-conferenced in thanks to modern technological means. We are living in the future. This episode is brought to you by Samurai Comics, with an intro by Gary Fitzgerald. Intro music by The Bomb Busters (Good to be Alone). Outro music by Kevin MacLeod (Dirt Rhodes). 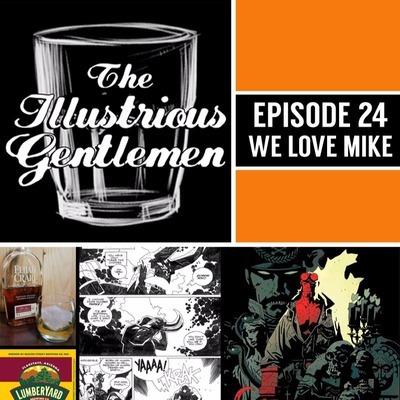 In this episode Scott and Ryan talk about Wake the Devil, the fantastic second Hellboy mini-series and quickly digress into talking about just how great Mike Mignola is. This episode is brought to you by Samurai Comics, with an intro by Gary Fitzgerald. Intro music by The Bomb Busters (Good to be Alone). Outro music by Kevin MacLeod (Dirt Rhodes). 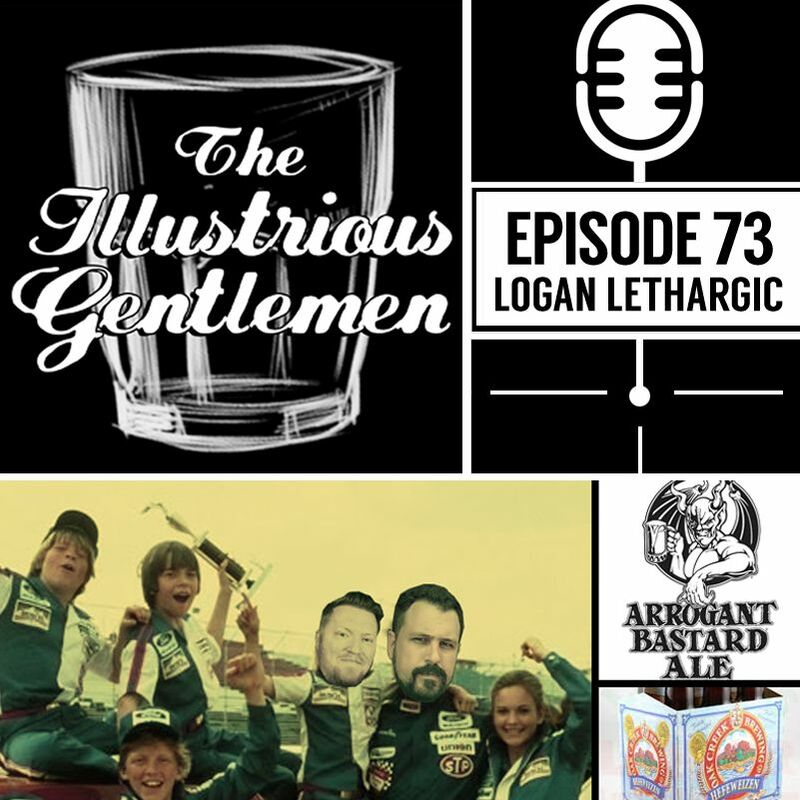 In this episode, Ryan and Scott very calmly and professionally discuss the little things that can send them over the edge, such as bad drivers, pets, poor logo design and their own self judgement. Visit www.tigshow.com for everything Illustrious Gentlemen related.This episode is brought to you by Samurai Comics.Intro music by The Bomb Busters (Good to be Alone). Outro music by Kevin MacLeod (Dirt Rhodes). 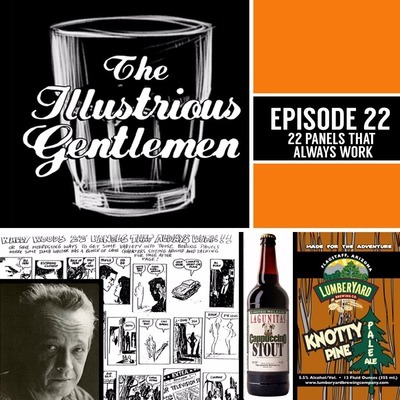 In their 22nd episode the guys tackle Wally Wood's 22 Panels That Always Work, a cheat sheet guide comic book artists have been using for decades. For an example of '22 Panels' jump over to www.tigshow.com. This episode is brought to you by Samurai Comics, with an intro by Gary Fitzgerald. Intro music by The Bomb Busters (Good to be Alone). Outro music by Kevin MacLeod (Dirt Rhodes). 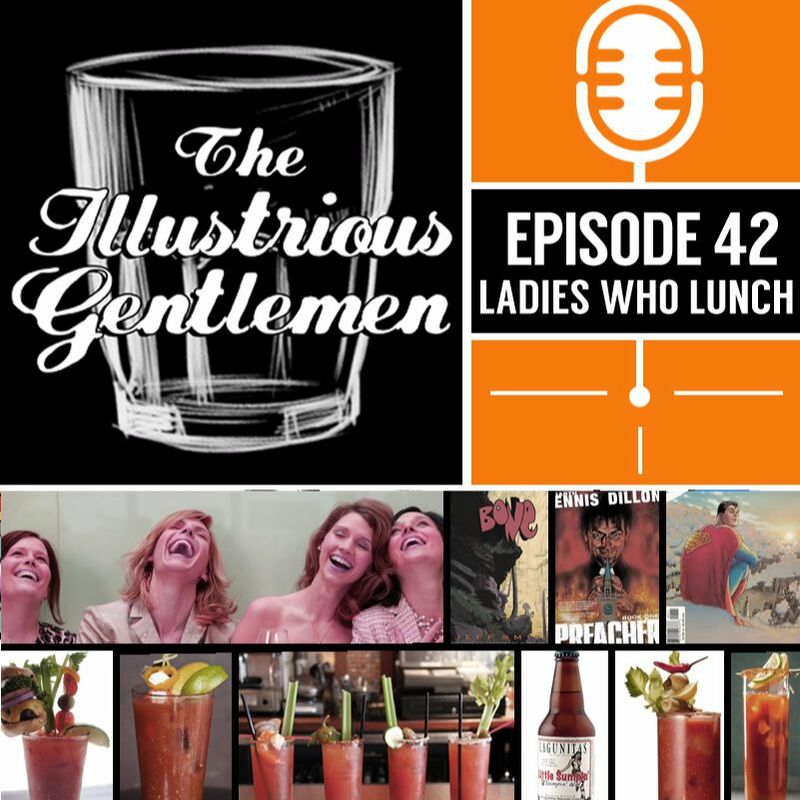 Hoist a beer or a cocktail for our 21st episode! In this jumble of wonderful, Scott and Ryan give you 10 thoughts they use when laying out and designing a comic book page while both are enjoying a tasty beverage! 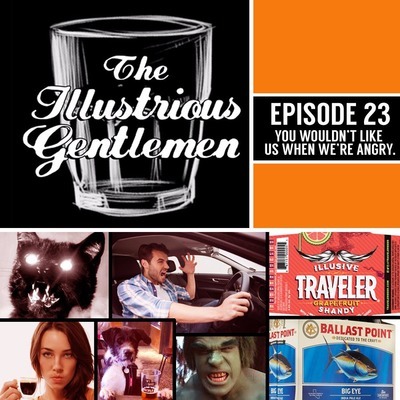 There is a slight audio issue with this episode, but we hope you'll enjoy it anyway. We are joined by podcast partners Comic Exposure and Panels and Pizza (give them both a listen!). This episode is brought to you by Samurai Comics, with an intro by Gary Fitzgerald. Intro music by The Bomb Busters (Good to be Alone). Outro music by Kevin MacLeod (Dirt Rhodes). 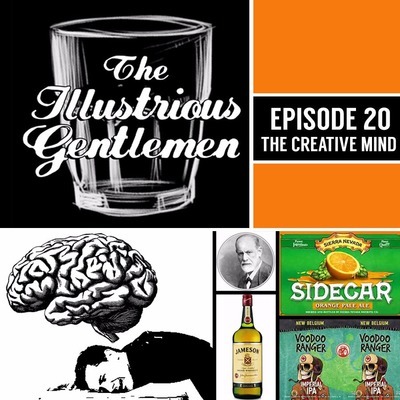 Scott and Ryan break down a 21-year old article from Psychologytoday.com about the creative mind of an artist. Scott has some great insight and Ryan sounds like a jerk. 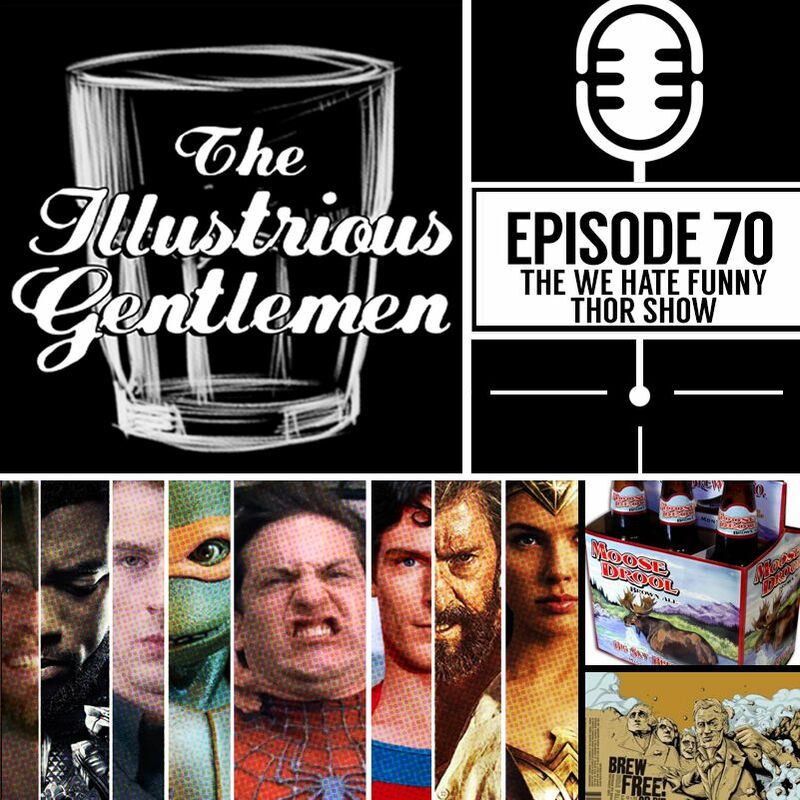 More of the same in our 20th episode! We are joined by podcast partners Comic Exposure and Panels and Pizza (give them both a listen!). This episode is brought to you by Samurai Comics, with an intro by Gary Fitzgerald. Intro music by The Bomb Busters (Good to be Alone). Outro music by Kevin MacLeod (Dirt Rhodes). 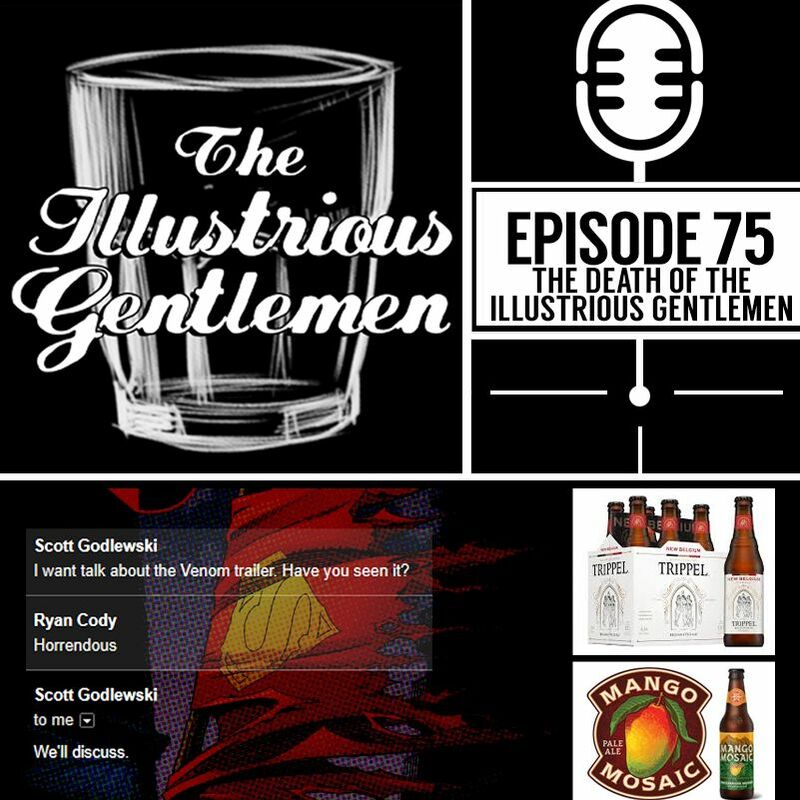 Scott & Ryan talk all about what they remember from the beginning of Image Comics and what it meant for them as young guys who wanted to be in comics. (Hint, they LOVED Image Comics). We are joined by podcast partners Comic Exposure and Panels and Pizza (give them both a listen!). This episode is brought to you by Samurai Comics, with an intro by Gary Fitzgerald. Intro music by The Bomb Busters (Good to be Alone). Outro music by Kevin MacLeod (Dirt Rhodes). 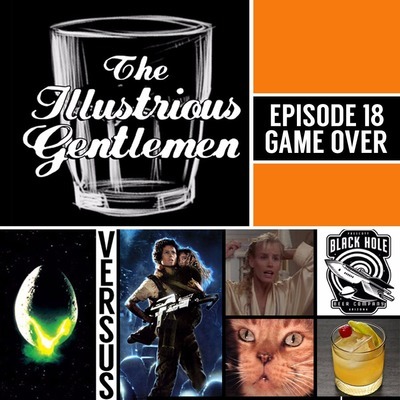 In this episode Scott and Ryan discuss two iconic sci-fi films, Alien & Aliens and we argue pointlessly over which one is superior. By the end of the episode Ryan almost dies from back pain & illness and Scott goes rogue. We are joined by podcast partners Comic Exposure and Panels and Pizza (give them both a listen!). This episode is brought to you by Samurai Comics, with an intro by Gary Fitzgerald. Intro music by The Bomb Busters (Good to be Alone). Outro music by Kevin MacLeod (Dirt Rhodes). 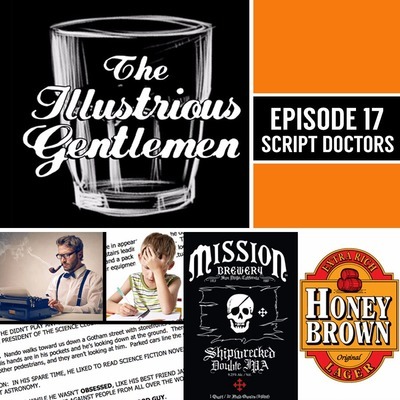 Scott and Ryan talk about comic book scripts in this episode from the artist's perspective, from what we like to see and what we don't. We are joined by podcast partners Comic Exposure and Panels and Pizza (give them both a listen!). This episode is brought to you by Samurai Comics, with an intro by Gary Fitzgerald. Intro music by The Bomb Busters (Good to be Alone). Outro music by Kevin MacLeod (Dirt Rhodes). 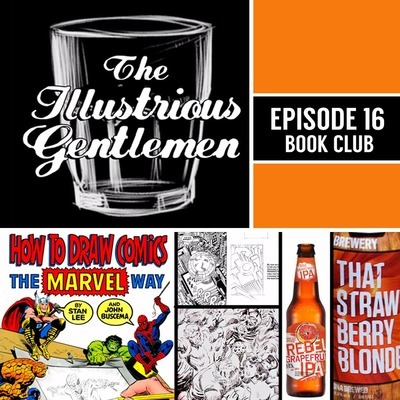 In this episode the guys discuss a key book for many professional and amateur comic artists, How To Draw Comics The Marvel Way. This episode is brought to you by Samurai Comics, with an intro by Gary Fitzgerald. Intro music by The Bomb Busters (Good to be Alone). Outro music by Kevin MacLeod (Dirt Rhodes). TIG 15 - Rogue Wha?? 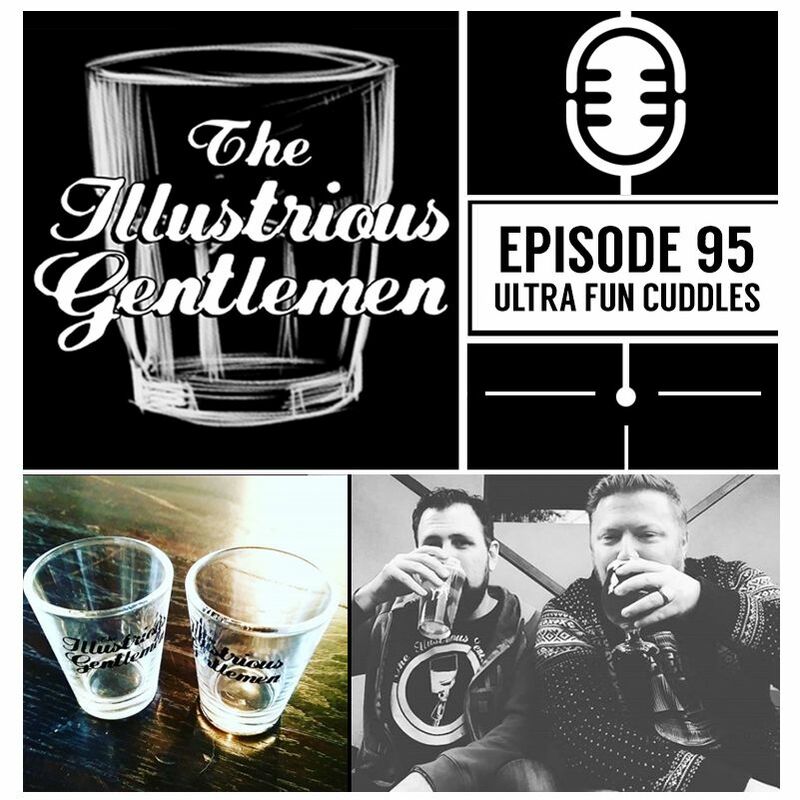 In this (un)spirational episode, the guys talk a little about motivation, how they handle not feeling inspired, and what they do to try and shake off the doldrums and get back to work. This episode is brought to you by Samurai Comics, with an intro by Gary Fitzgerald. Intro music by The Bomb Busters (Good to be Alone). Outro music by Kevin MacLeod (Dirt Rhodes). 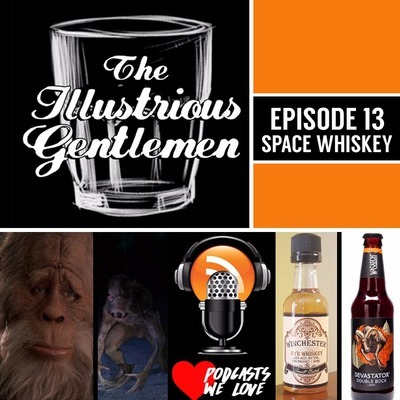 In this episode, Scott and Ryan talk about their favorite podcasts, what they look for in podcasts that make them enjoyable, and Scott drinks a whiskey that may jump start his evolution into cyborg-Scottygod. This episode is brought to you by Samurai Comics, with an intro by Gary Fitzgerald. Intro music by The Bomb Busters (Good to be Alone). Outro music by Kevin MacLeod (Dirt Rhodes). 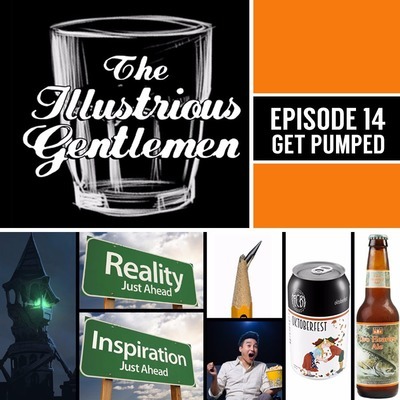 In this episode, Scott and Ryan discuss some of the terrible characters they created in their youth, and on their way to becoming professional artists. Safe to say, time has not been kind to most of them. 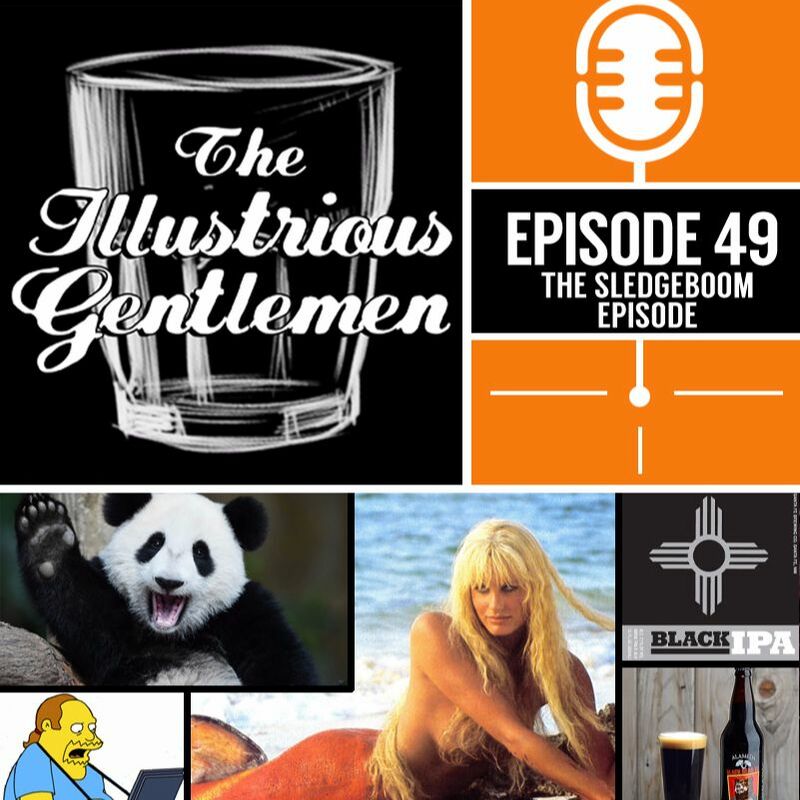 This episode is brought to you by Samurai Comics of Arizona, with an intro by Gary Fitzgerald. Intro music by The Bomb Busters (Good to be Alone). Outro music by Kevin MacLeod (Dirt Rhodes). 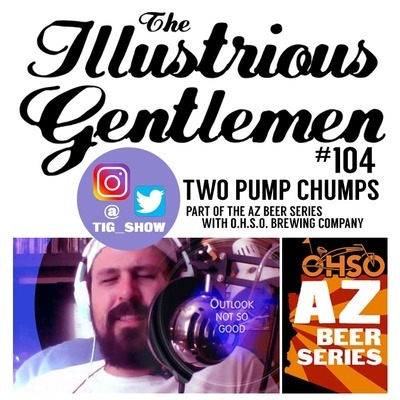 A short Chaser episode this week as Ryan enjoys America's favorite beer of 1893, answers some listener questions, talks about his recent trip to Tucson and openly states his love for Scott, who had to skip this one to focus on work. Chaser music by Kevin Macleod, intro by Gary Fitzgerald and this episode is sponsored by Samurai Comics. 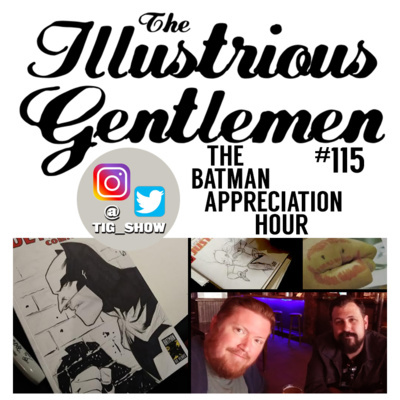 Scott is back from his break and the guys talk about the role of art school, advice for up and coming artists, and a couple keys to sustaining a comic career. To be really successful, you may want to do the opposite of what we say. This episode is brought to you by Samurai Comics, with an intro by Gary Fitzgerald. Intro music by The Bomb Busters (Good to be Alone). Outro music by Kevin MacLeod (Dirt Rhodes). 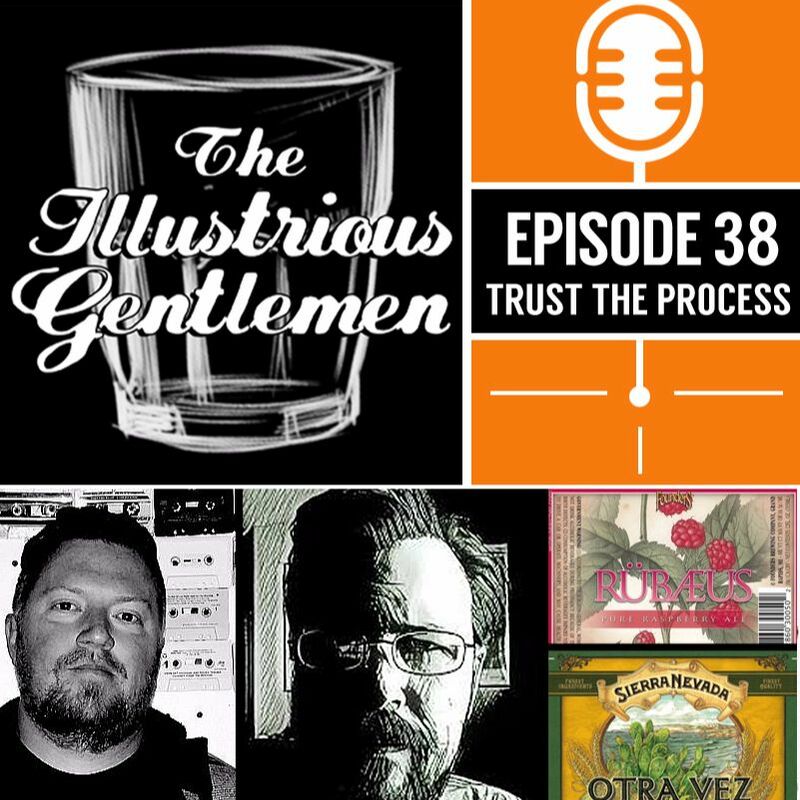 Scott's off again this week, so Ryan chats with three of his pals in comics, Fabian Rangel Jr., Andy Kuhn & Joe Dellagatta about what hooked them & made them want to make comics. 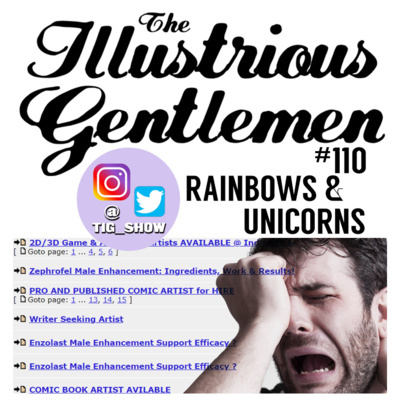 This episode is brought to you by Samurai Comics, http://samuraicomics.com/, with an intro by Gary Fitzgerald, http://cheekyfish.blogspot.com. Fabian has a Kickstarter currently running over at https://www.kickstarter.com/projects/2005492660/blood-brothers-hermanos-de-sangre-a-supernatural-p & you can follow Andy at https://twitter.com/andykuhn and Joe at https://twitter.com/JoeDellaGatta. Intro music by The Bomb Busters (Good to be Alone). Outro music by Kevin MacLeod (Dirt Rhodes). 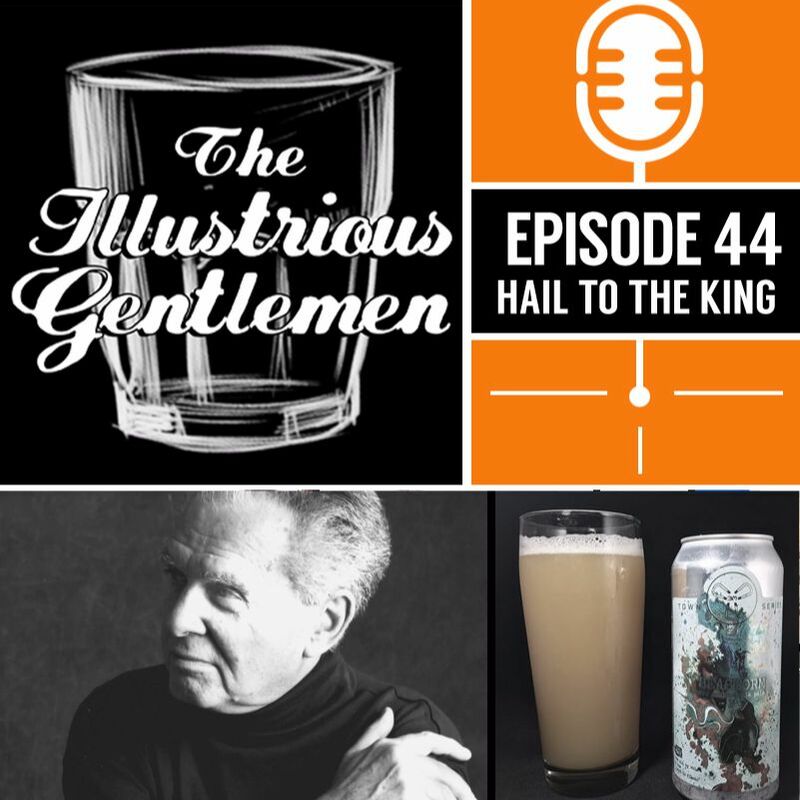 Scott is on hiatus for a couple weeks, so guest host Rob Osborne joins Ryan to discuss branding as an artist, setting yourself apart and what not to put in your iced coffee. This episode is sponsored by Samurai Comics in Phoenix, Arizona and our introduction is by Gary Fitzgerald. Intro music by The Bomb Busters (Good to be Alone). Outro music by Kevin MacLeod (Dirt Rhodes). 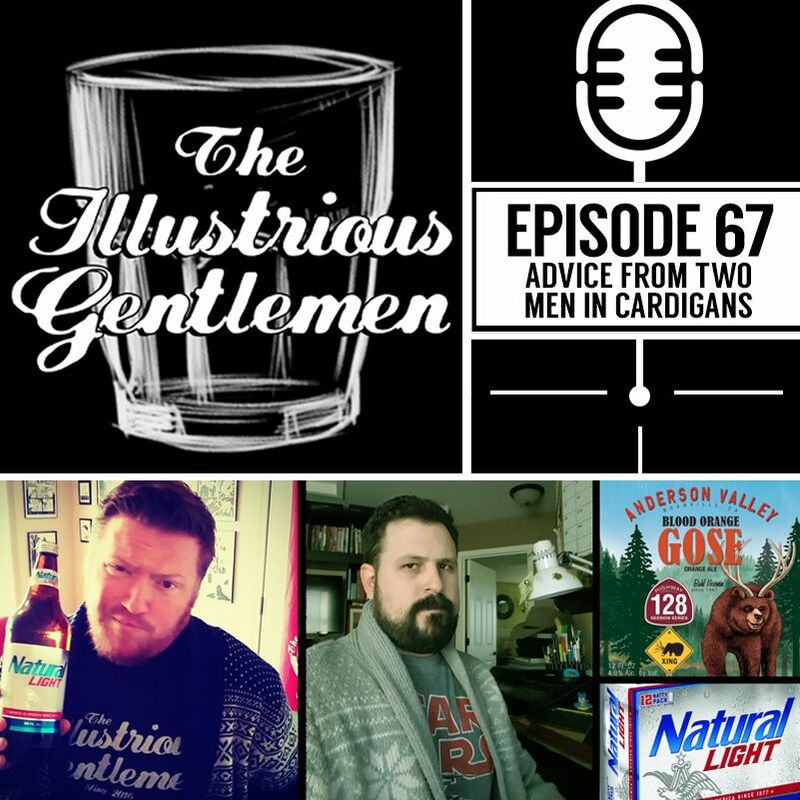 In this week's episode the guys talk about their dream jobs outside of comics (of which Scott has many) and Ryan mispronounces Ninkasi Brewery more than once. 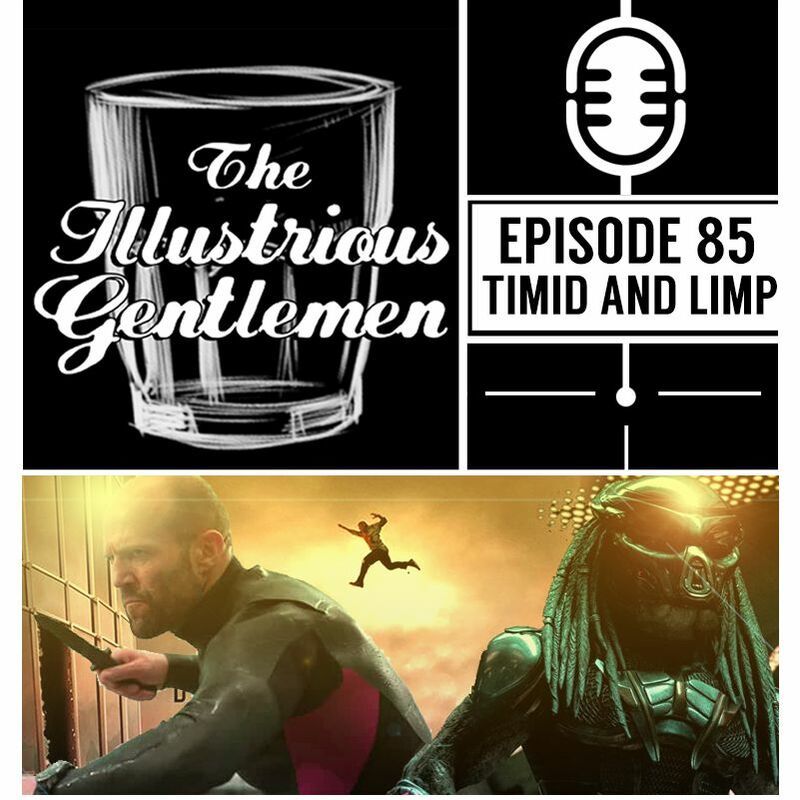 In this episode the guys talk a little about properties they enjoy outside of the realm of comics and we learn Scott loves to talk about many shows and movies from the 80's without actually ever seeing anything from the 80's. 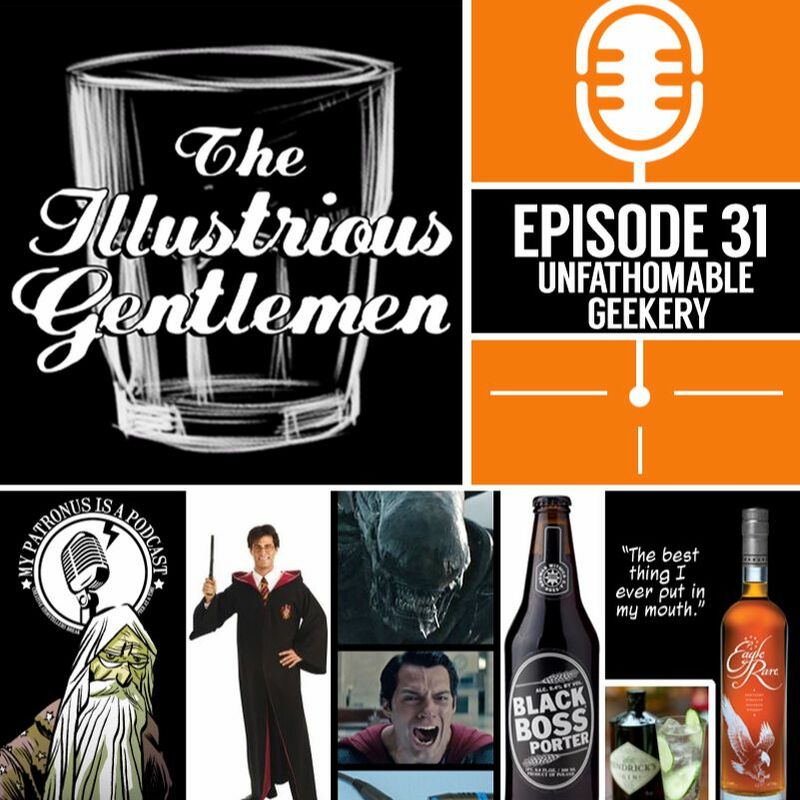 Harry Potter, Star Trek, Chris Evans sci-fi films, cartoons, Lord of The Rings and much more is discussed. 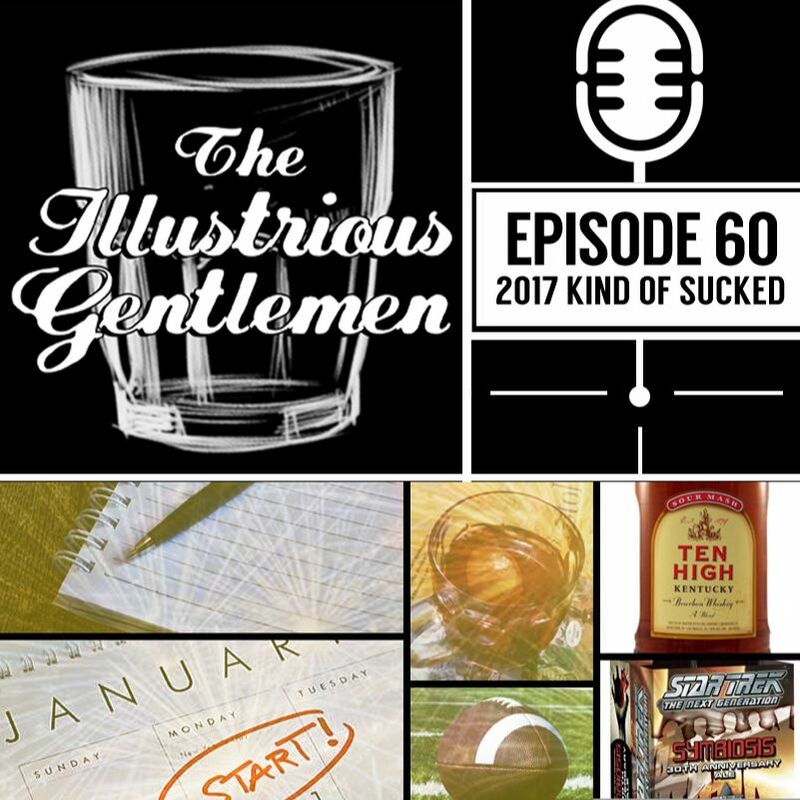 The guys seem to start off slow and may actually be asleep at the start of the show, but things really turn around thanks to the Stoltz. Chaser 03 - The Siege Perilous! Ryan tries to explain to Scott all about the time the X-Men went through the Siege Perilous, getting several X-Men facts wrong and totally not accurately remembering the timeline. 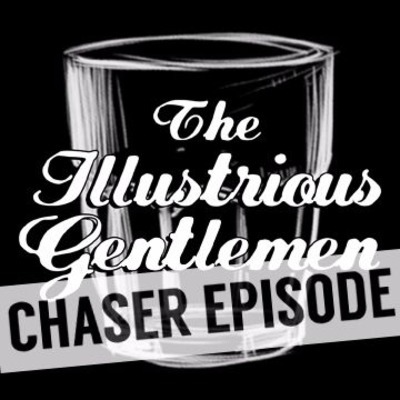 In another short episode we call Chasers, Ryan tells a story about bowling for charity with The Hero Initiative in Seattle. People were disappointed to be sure. 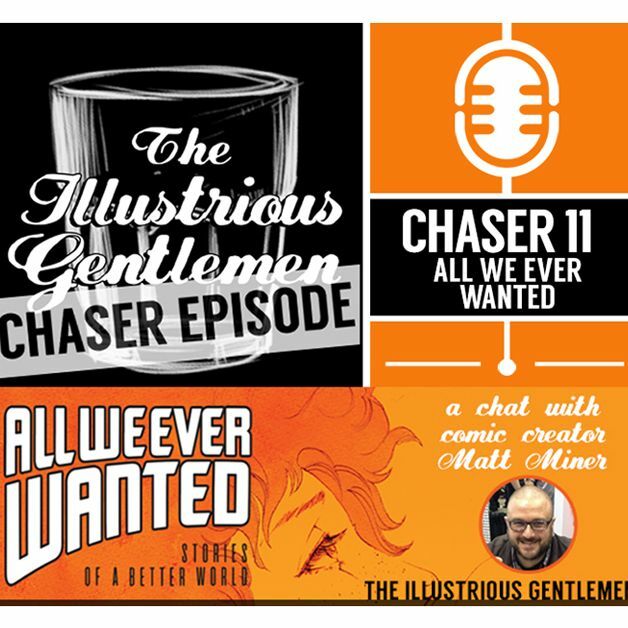 Chaser intro music by Kevin MacLeod (Slow Burn). Chaser music outro by Kevin MacLeod (Niles Blues). 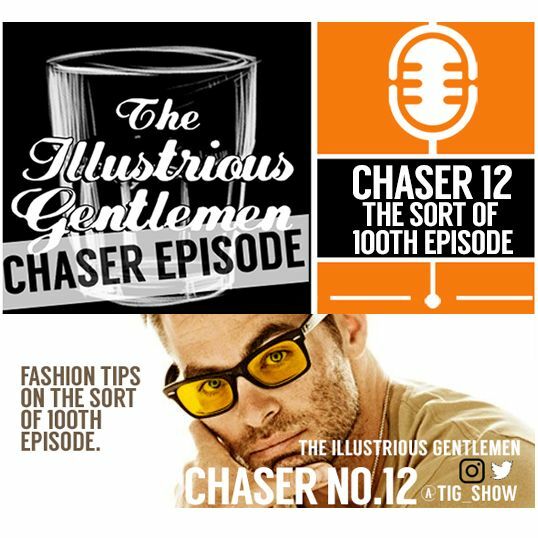 In this episode Scott interviews Ryan. 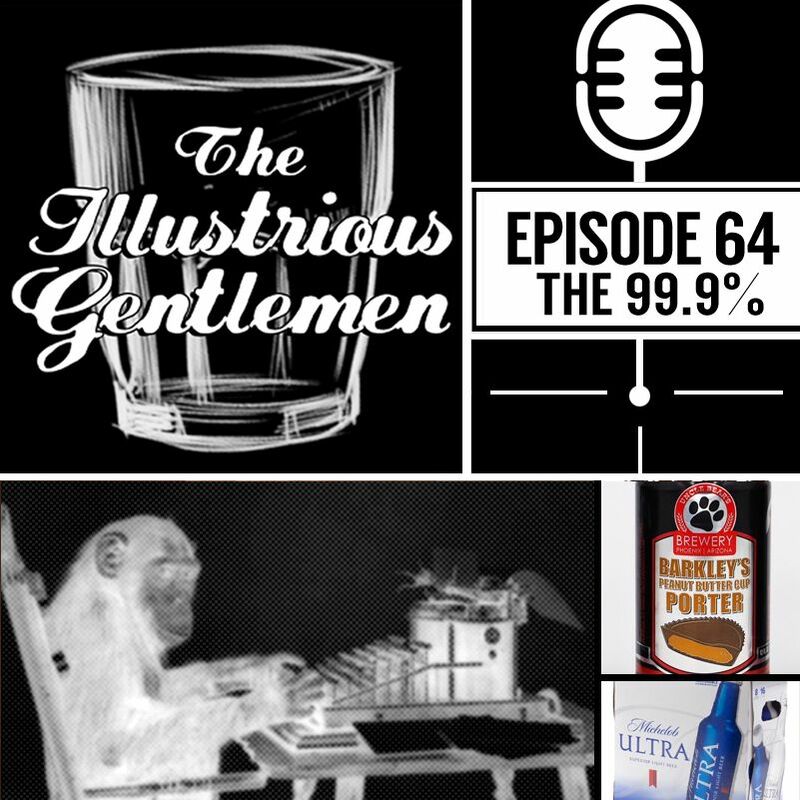 They cover Ryan's growing up, his introduction to comics in Oceanside, CA, how summer is tough on freelancers with kids, Ryan's Mt.Rushmore of comics, buying microbrews at Chevron and we hear a tragic story involving a Monchichi. Intro music by The Bomb Busters (Good to be Alone). Outro music by Kevin MacLeod (Dirt Rhodes). 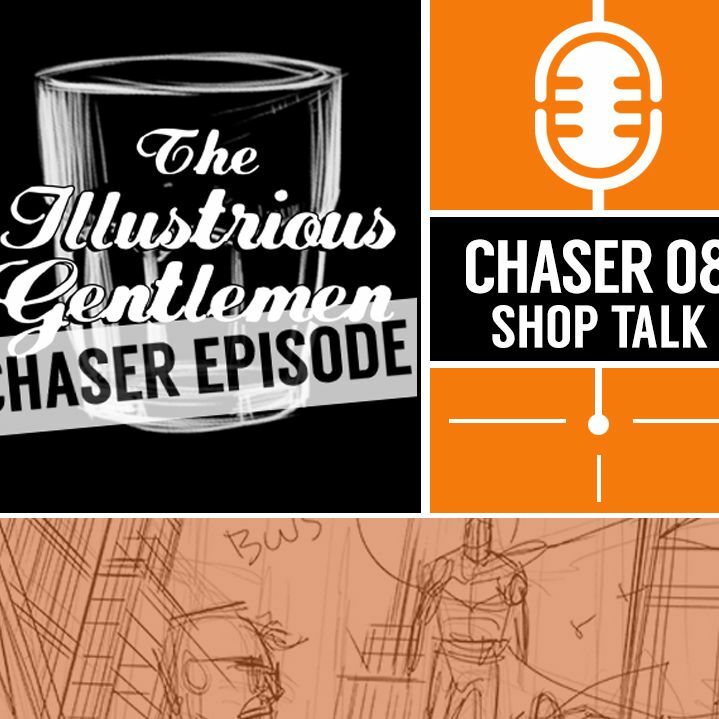 This week's chat is mostly about our current creator owned projects and how those paths are veering off in different directions with Ryan starting a very small web-based project, Fata Obstant Expeditions, and Drew Moss taking over art duties on Copperhead for Scott. 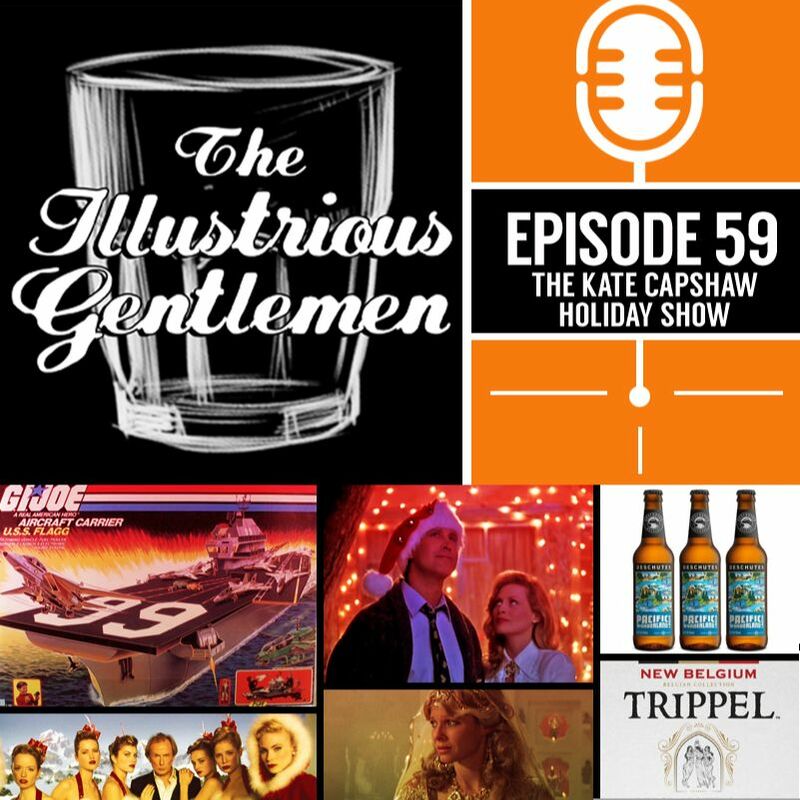 We talk a bit about Darwyn Cooke and names dropped in this episode include Erika Eleniak and Sarah McLachlan. Intro music by The Bomb Busters (Good to be Alone). Outro music by Kevin MacLeod (Dirt Rhodes). 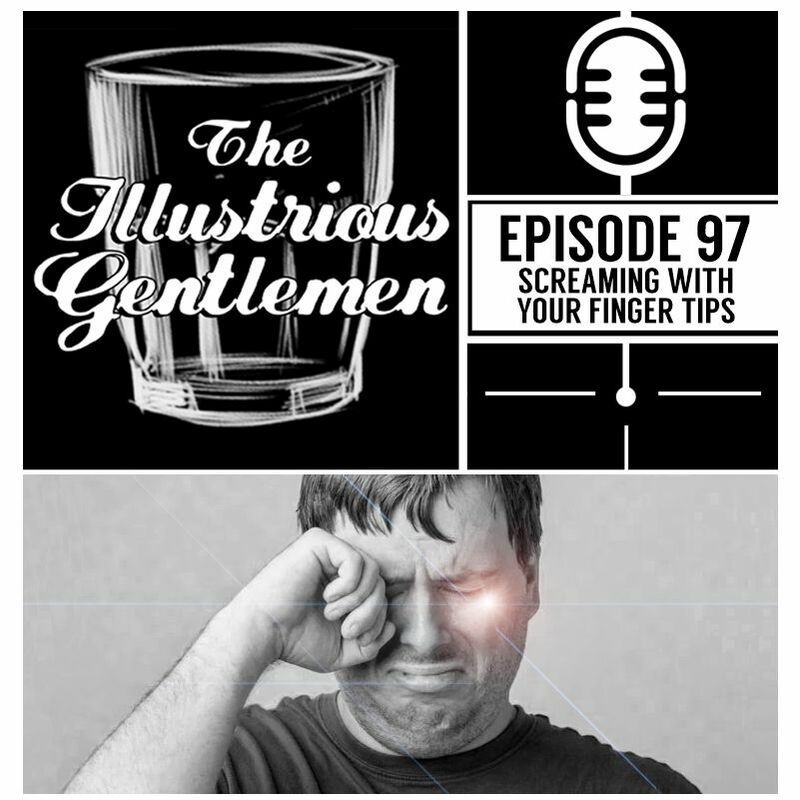 This episode is all about Scott as the guys talk about Scott's story. 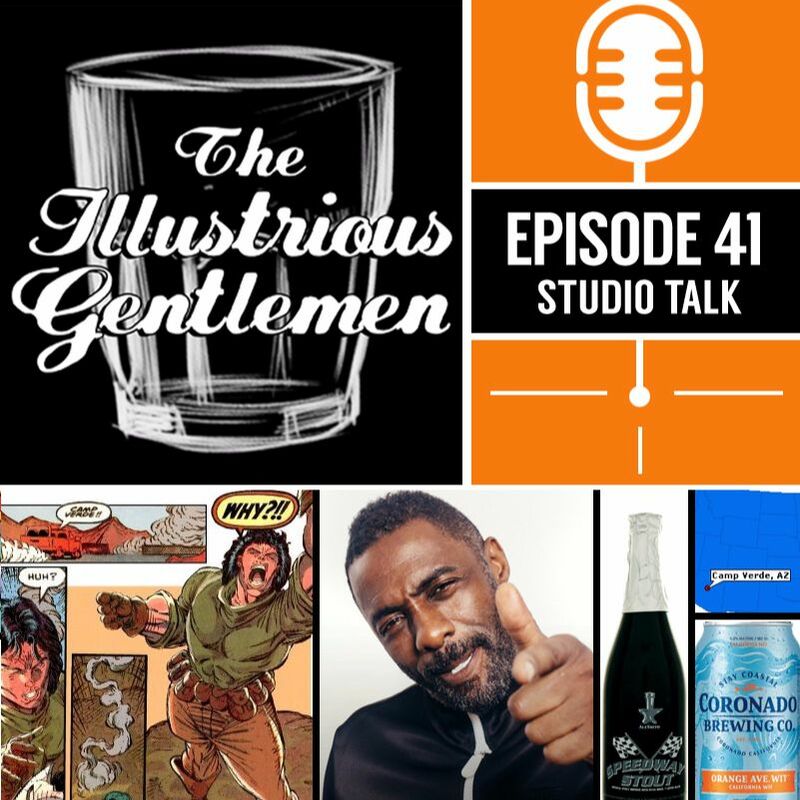 How he got into the business, what initially attracted him to comics as a kid and much more. 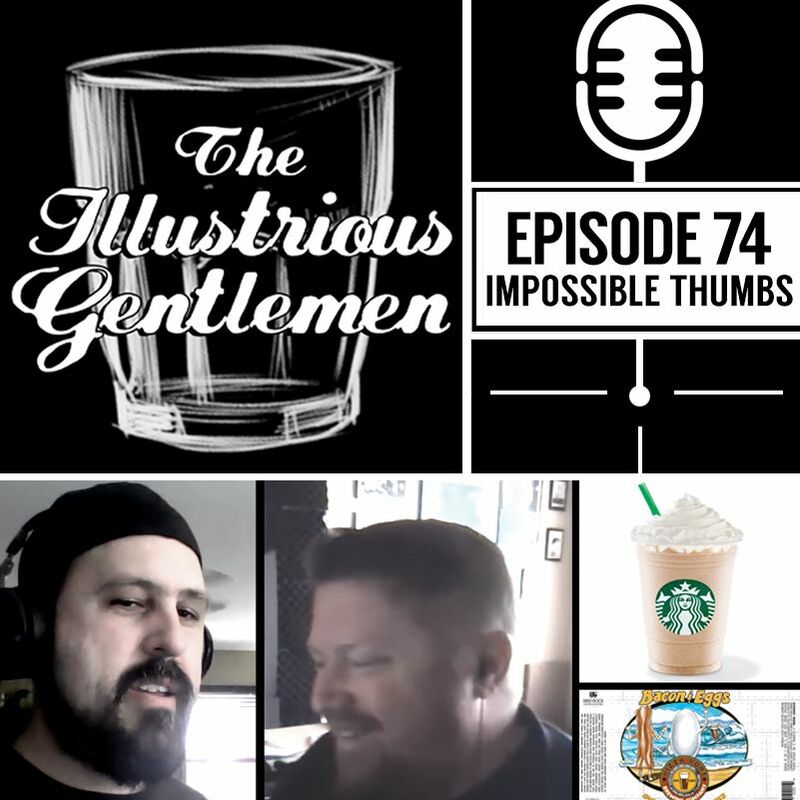 *This was recorded a couple months ago, before the announcement that Scott would be stepping down from the art chores on the Image comic Copperhead. A short, quick, taste on Scott's take now that he works digitally. 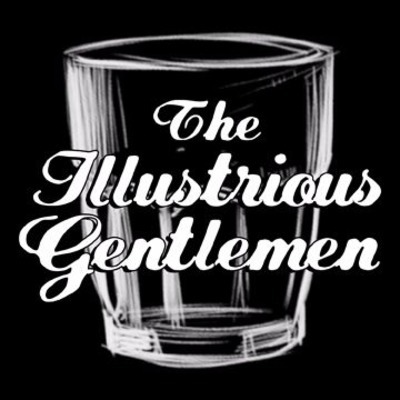 Intro music by Kevin MacLeod (Slow Burn). Outro by Kevin MacLeod (Niles Blues). 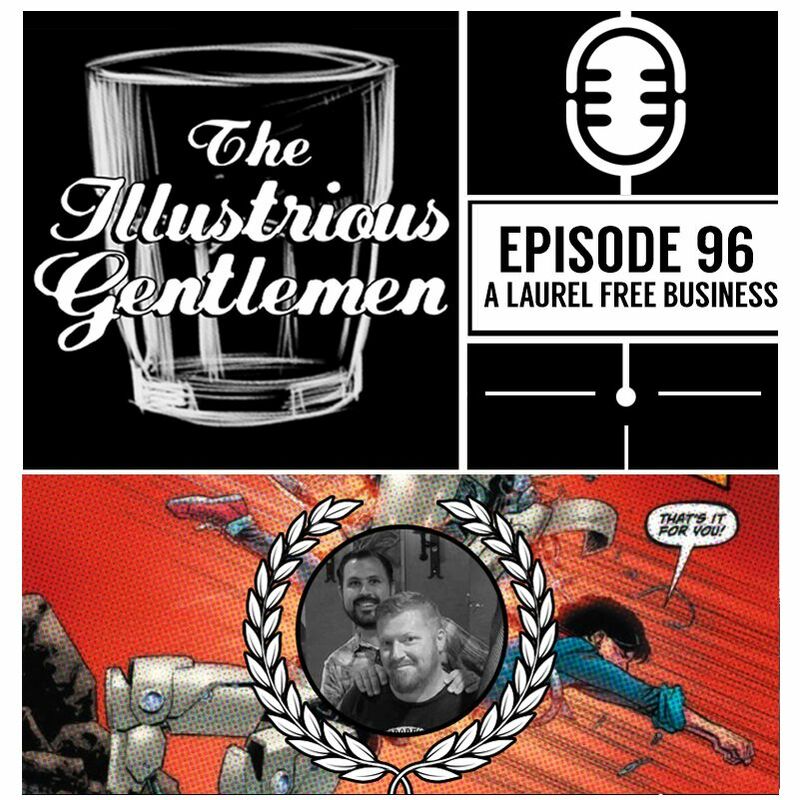 In our first episode, (even though the audio says episode 2) professional comic book artists, Ryan Cody and Scott Godlewski, have a cocktail or two and talk about their dream work for hire projects, their favorite comics and much more. Recorded in April, 2016 via Skype. Intro music by The Bomb Busters (Good to be Alone). Outro music by Kevin MacLeod (Dirt Rhodes).